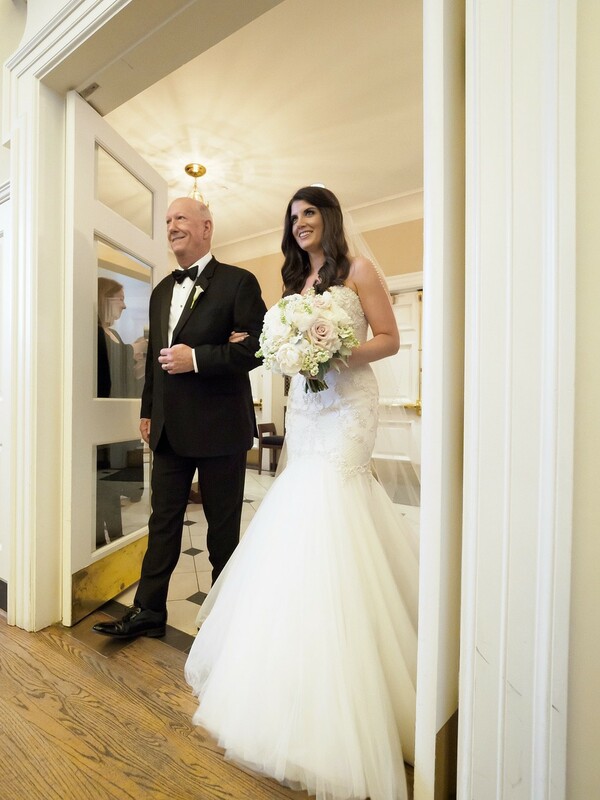 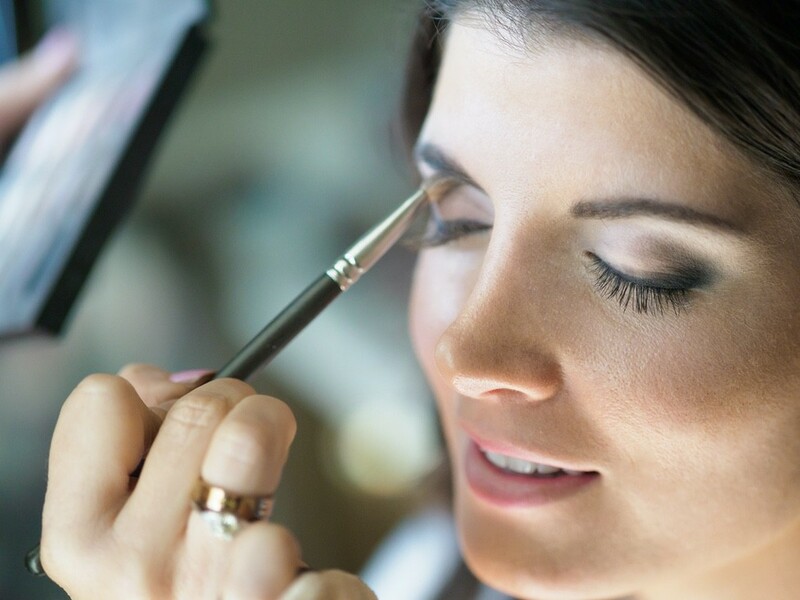 Kelli & Jeff’s stunning wedding was held on a beautiful Spring day. 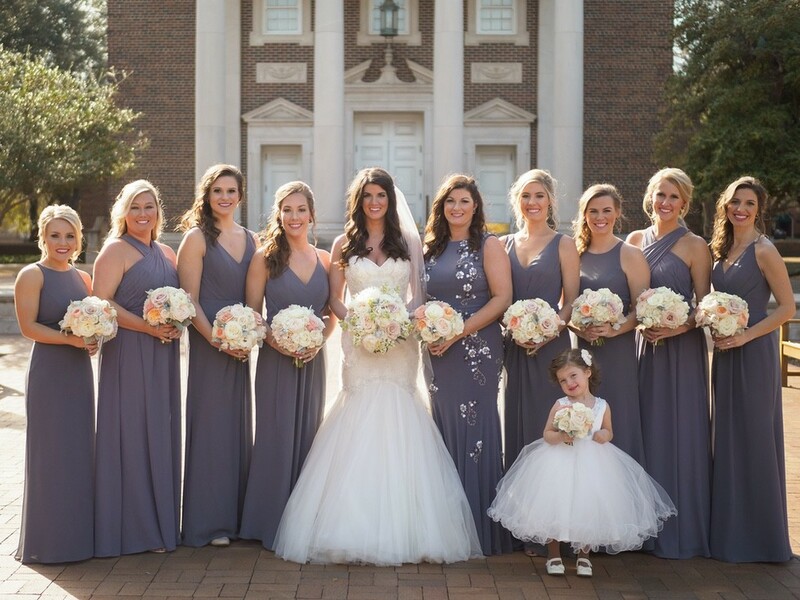 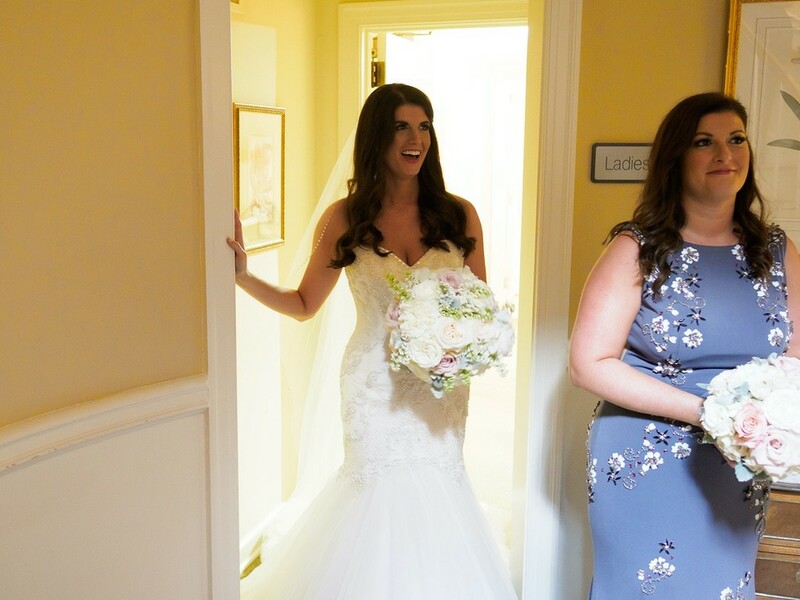 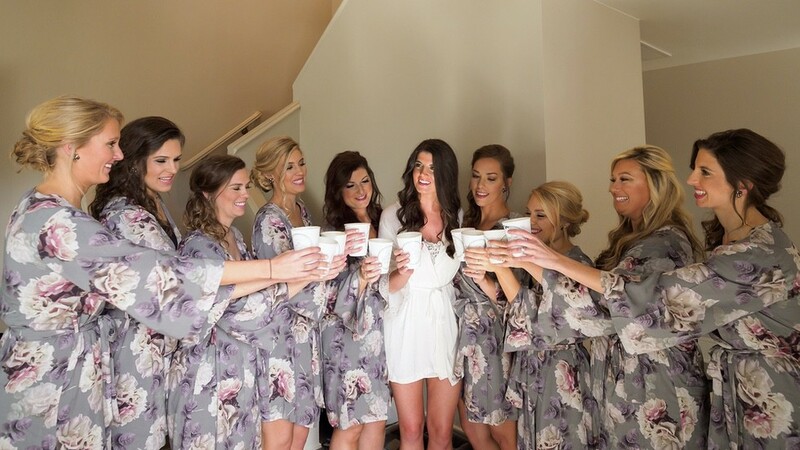 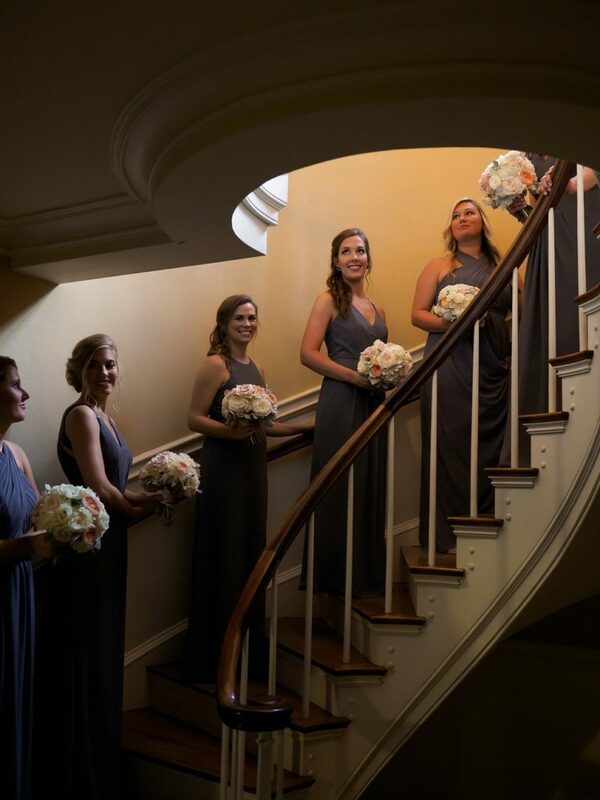 Bridesmaids wore slate gray and carried bouquets in tones of peaches and ivories. 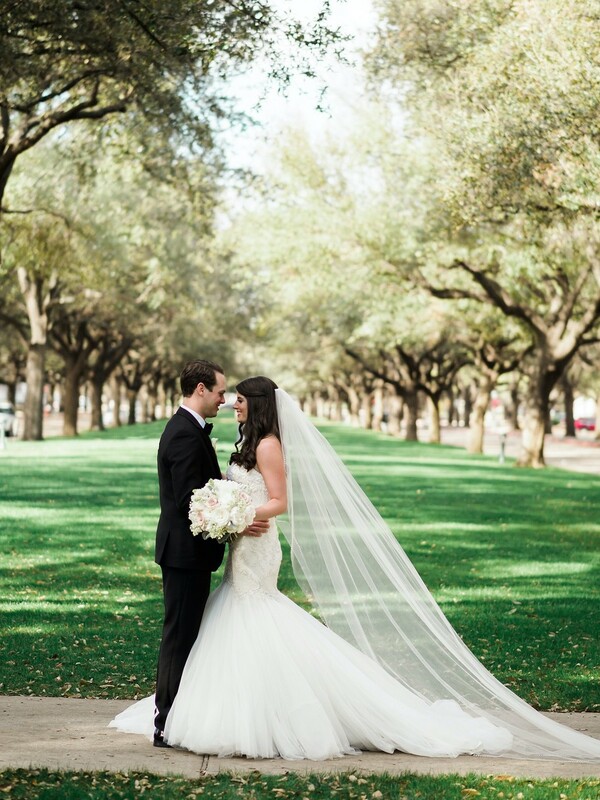 Kelli carried a similar palette and looked perfect in her beaded and tulle adorned gown. 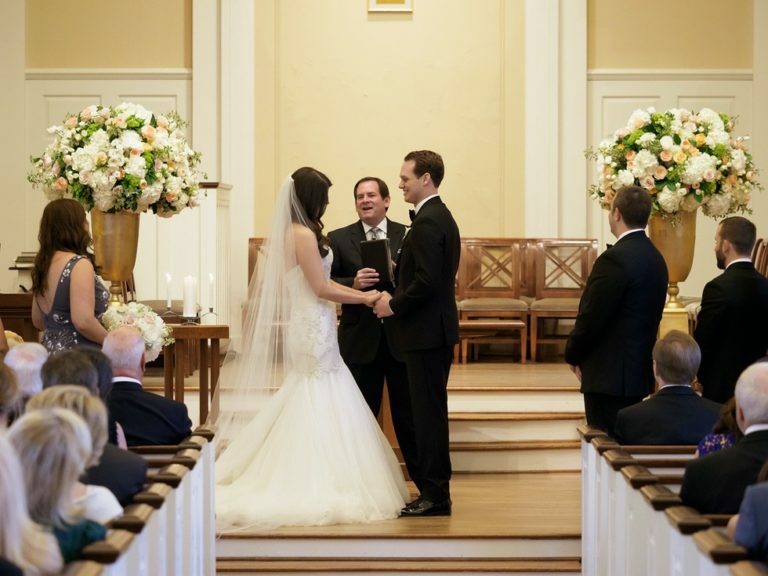 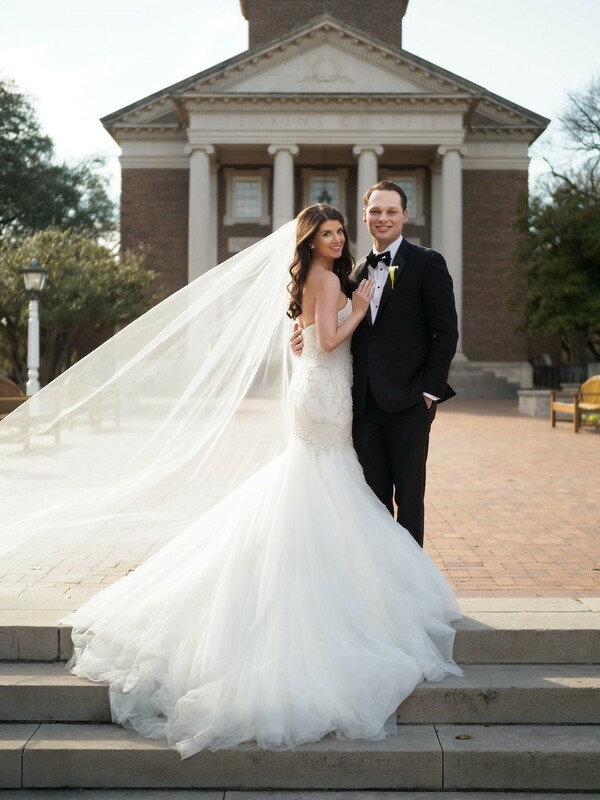 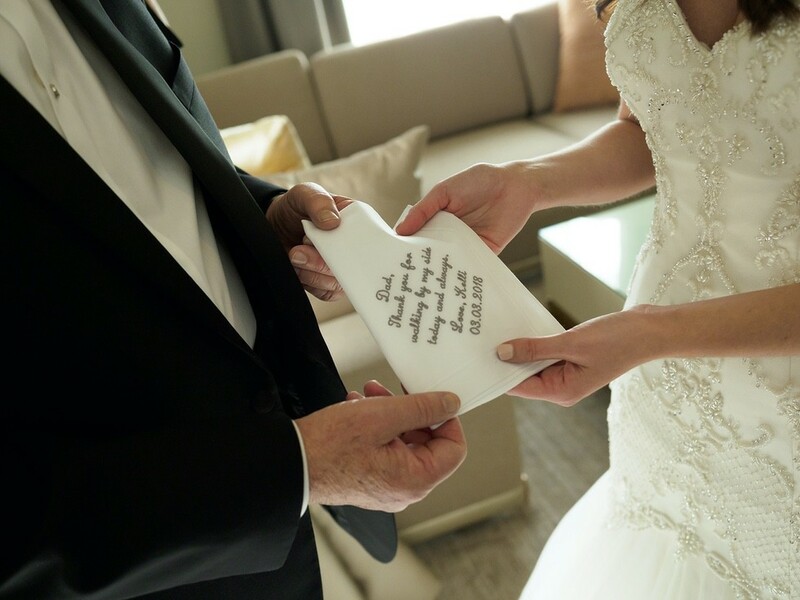 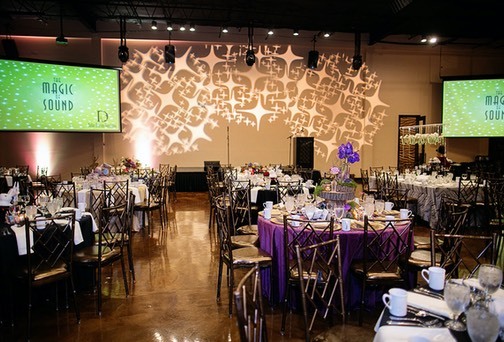 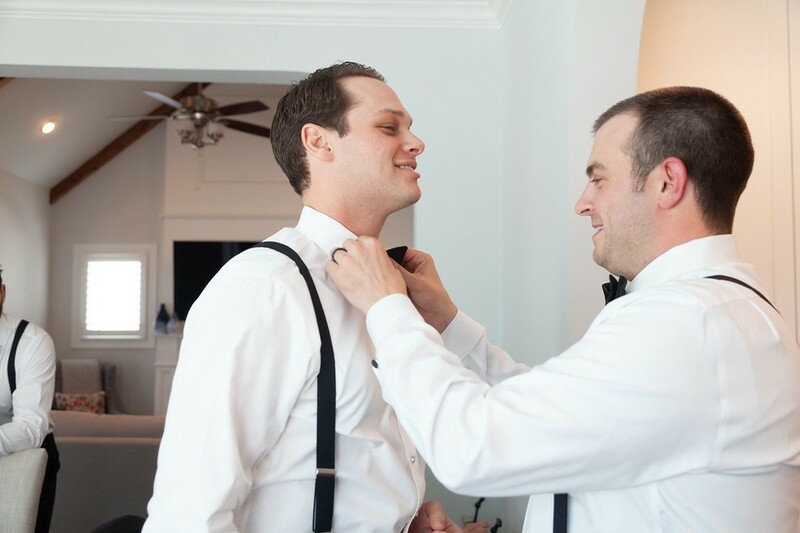 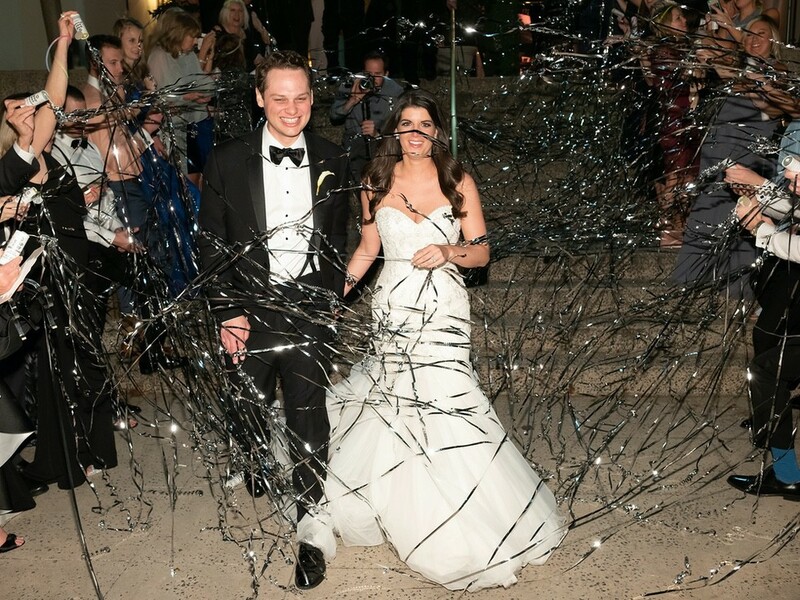 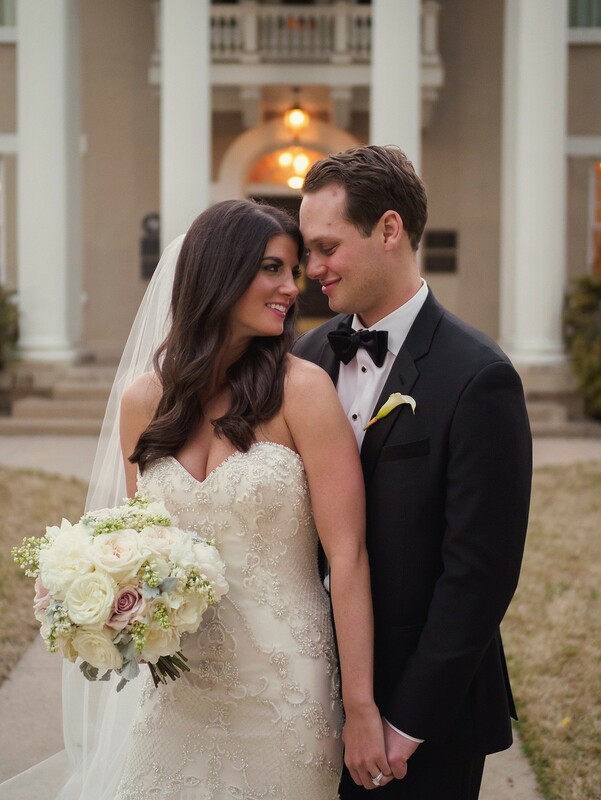 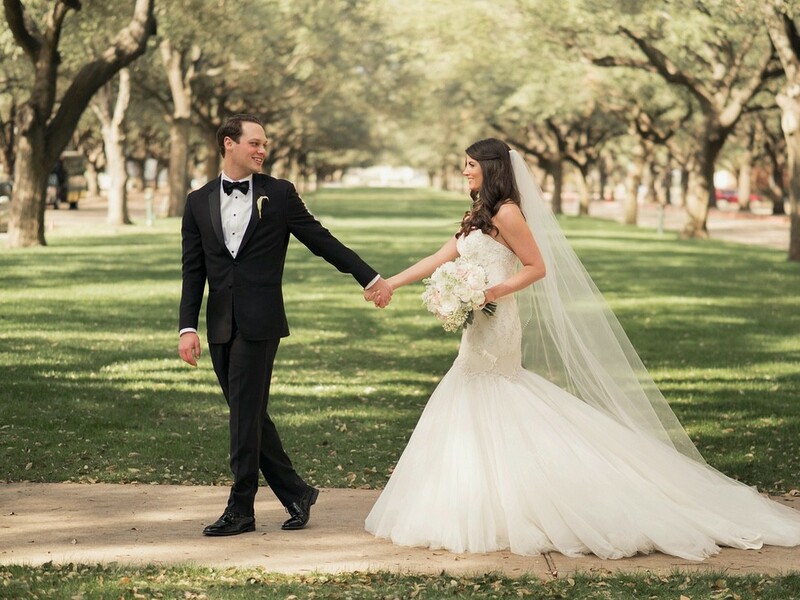 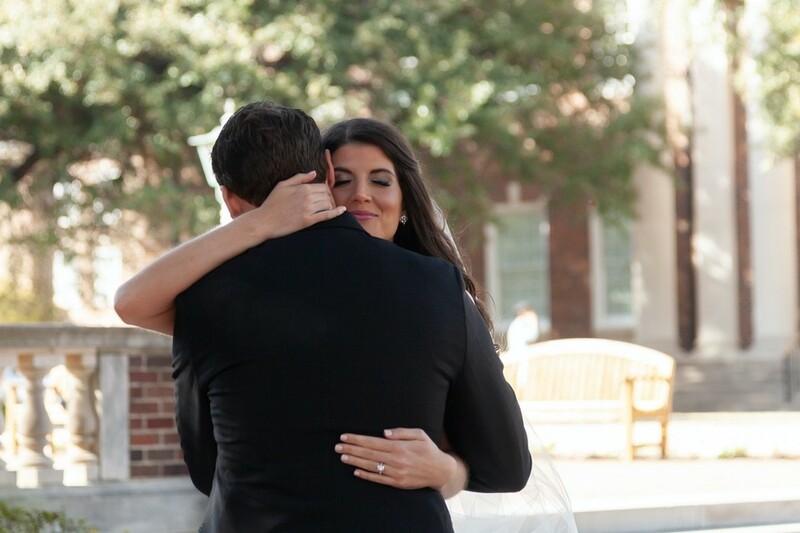 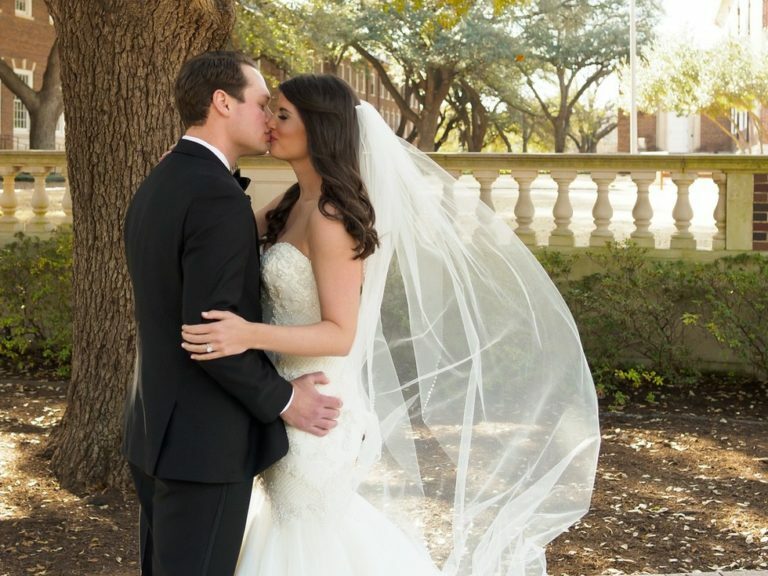 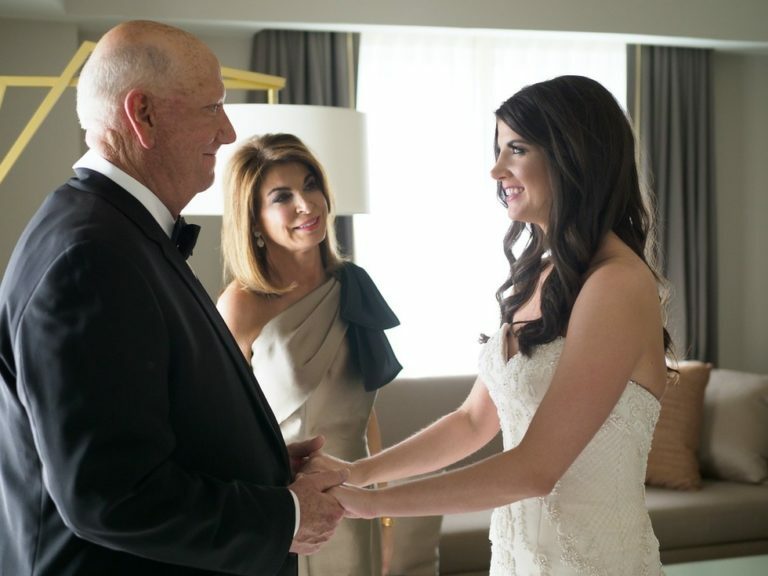 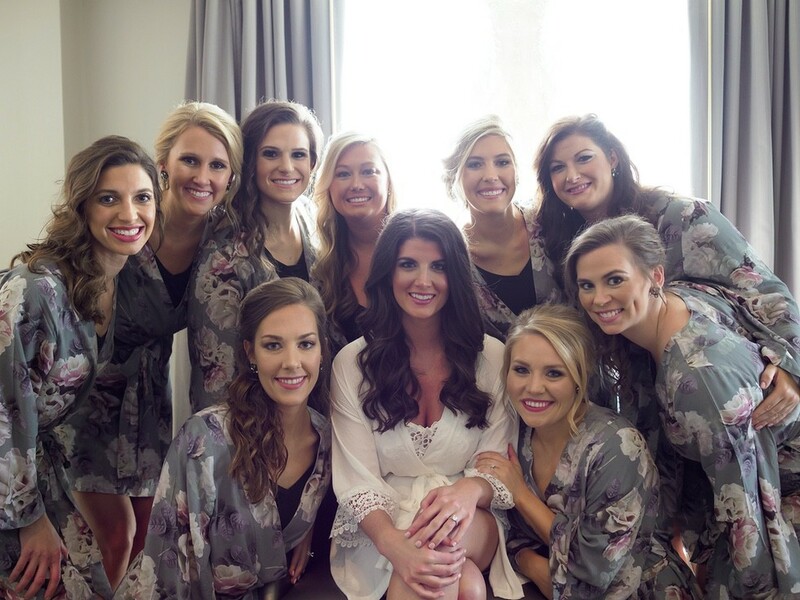 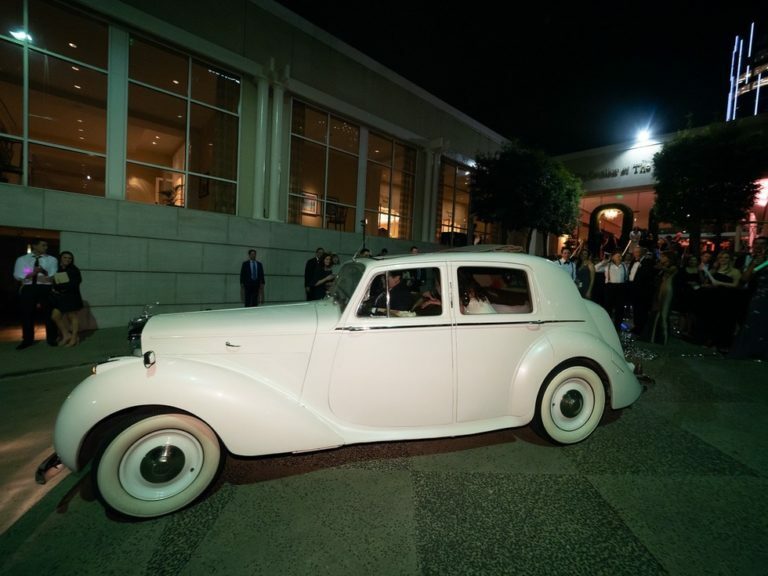 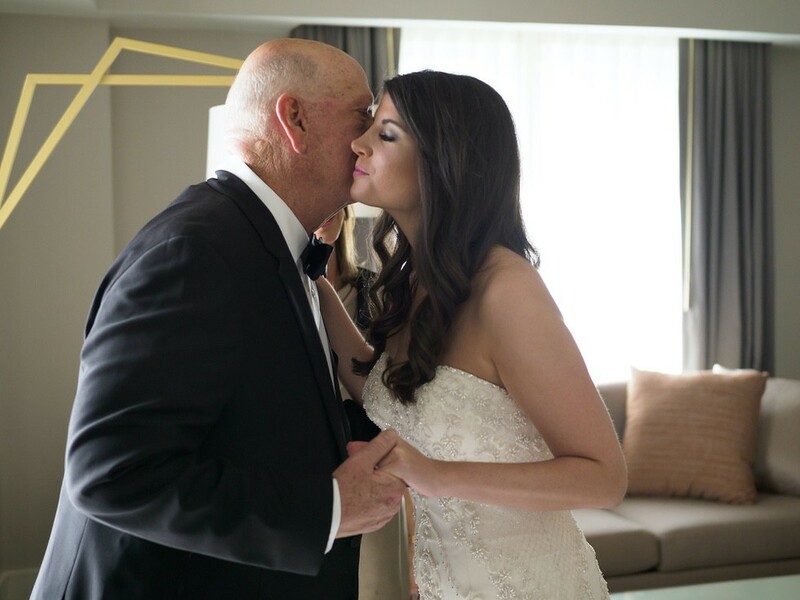 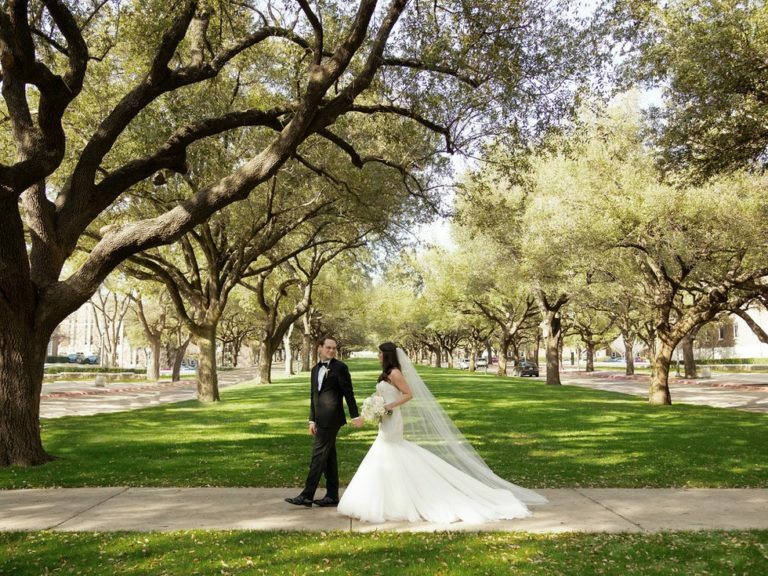 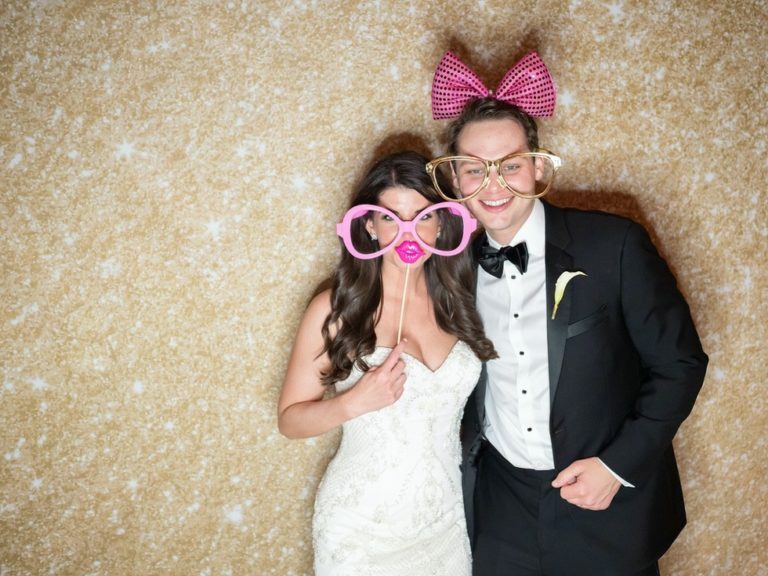 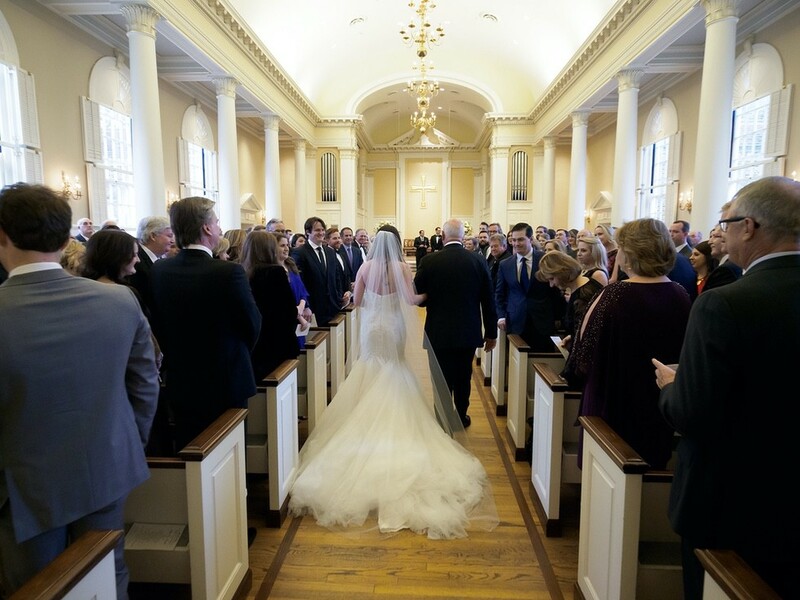 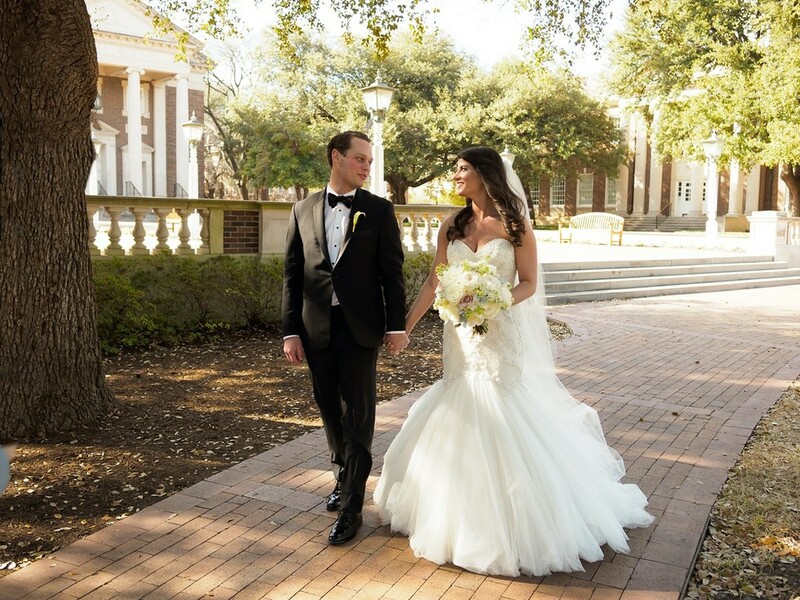 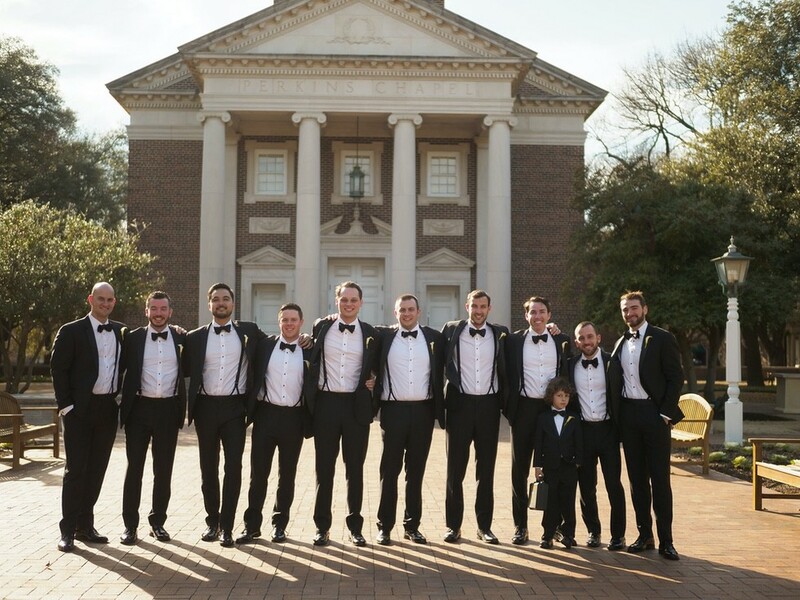 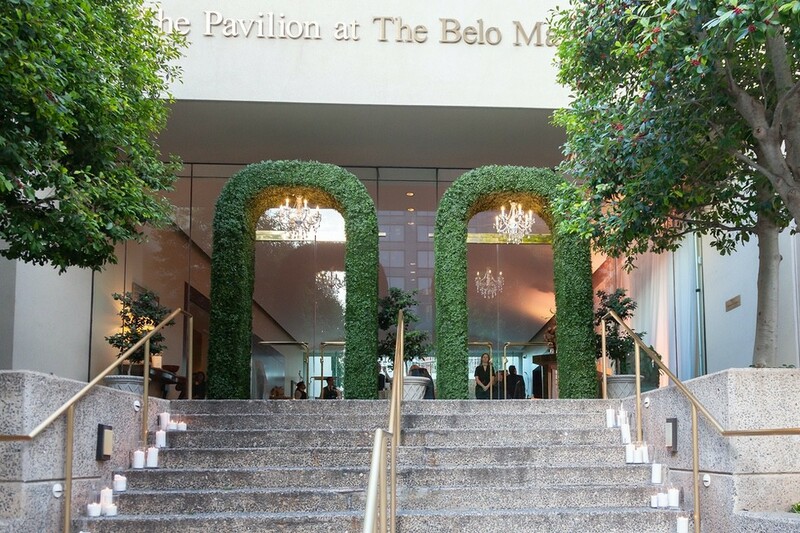 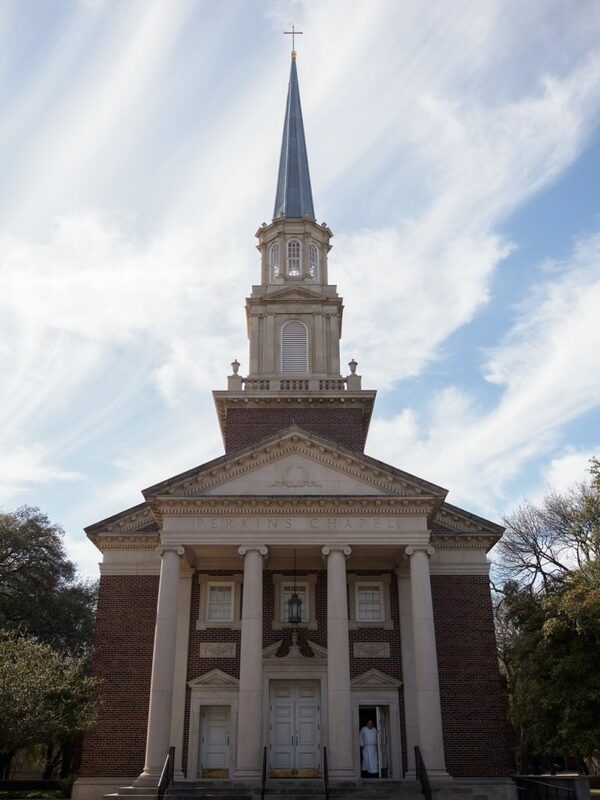 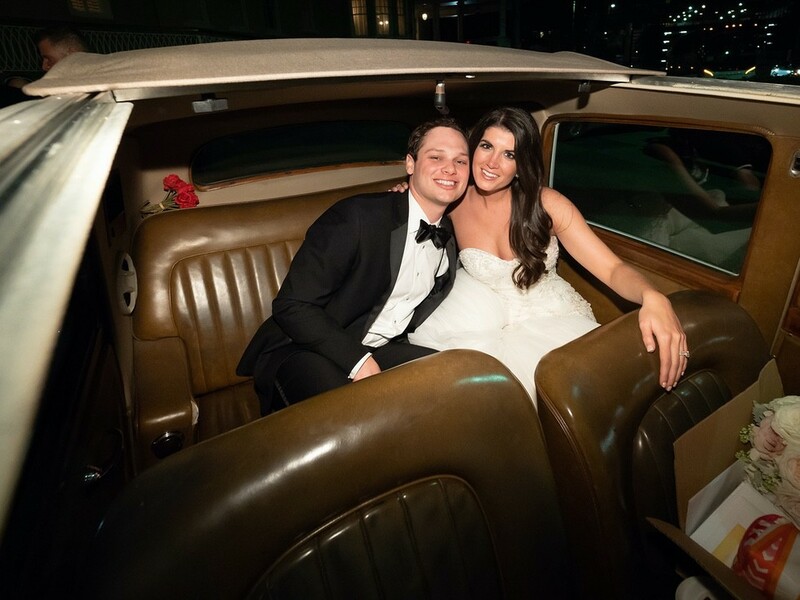 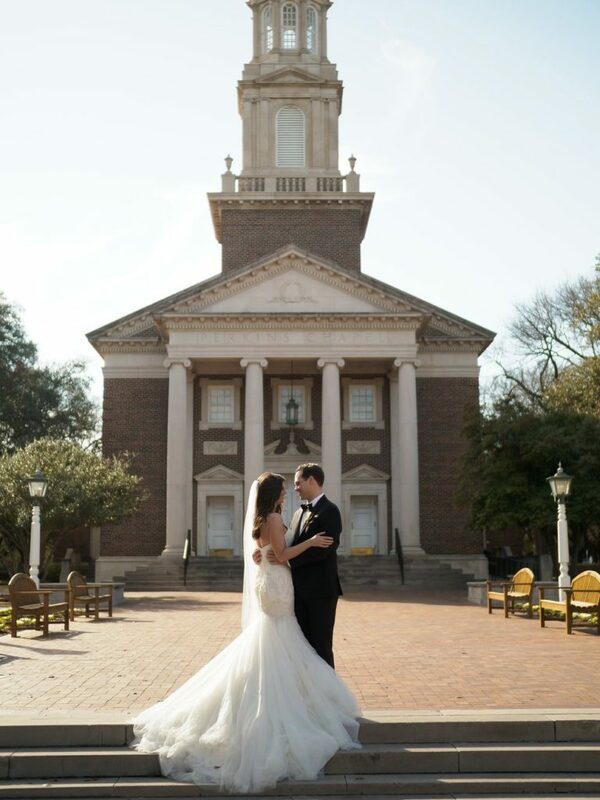 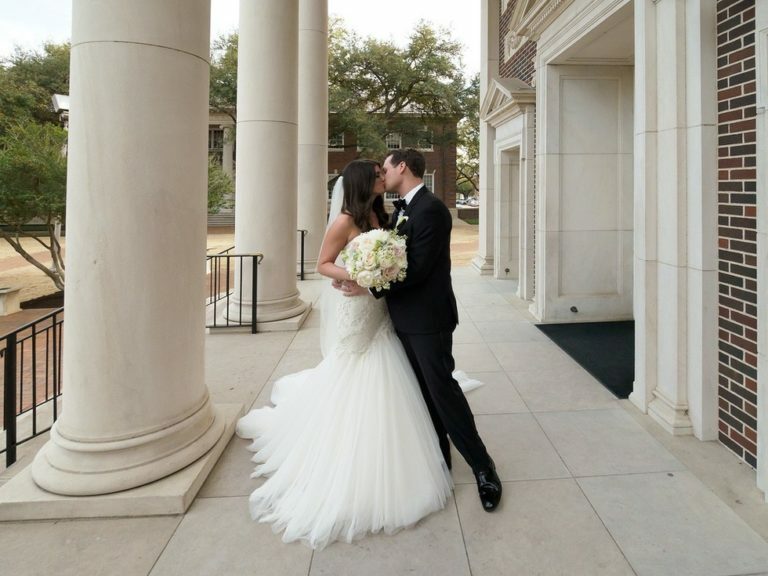 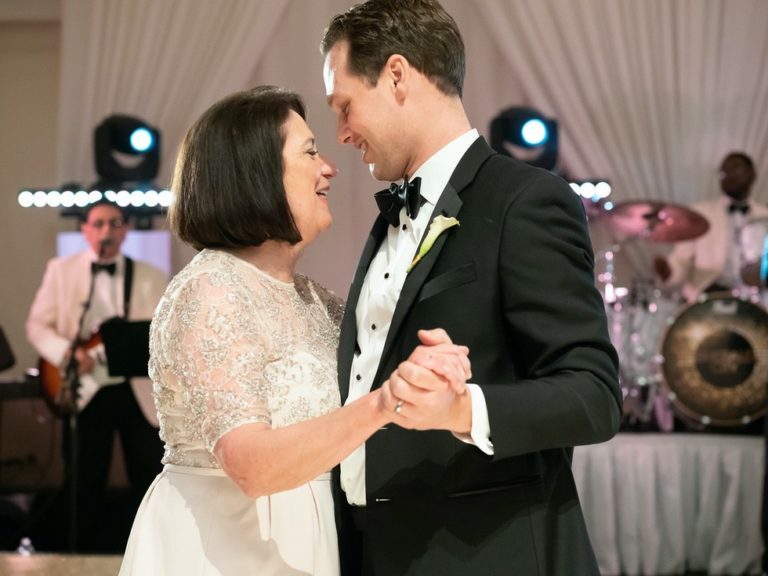 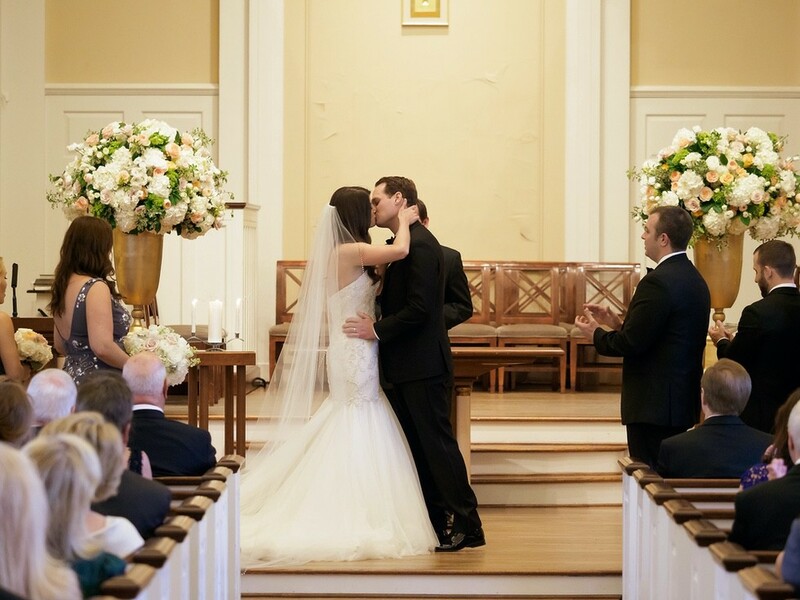 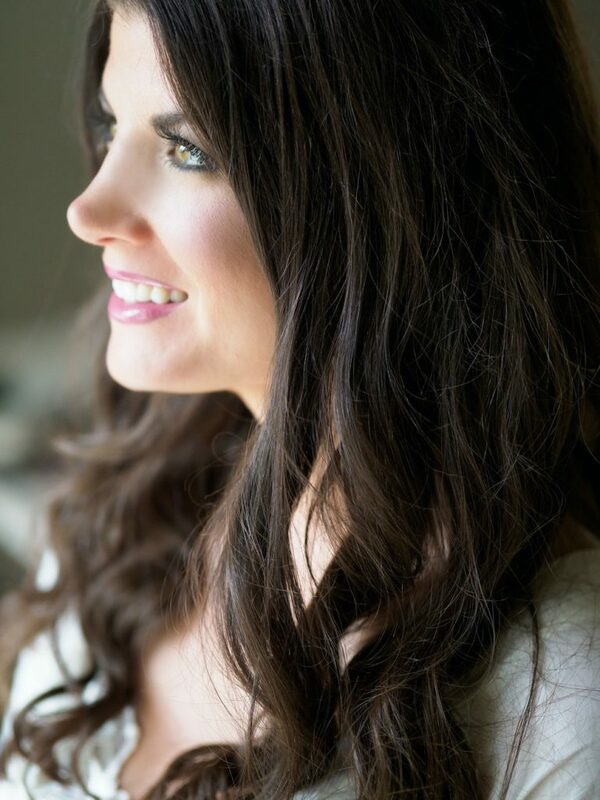 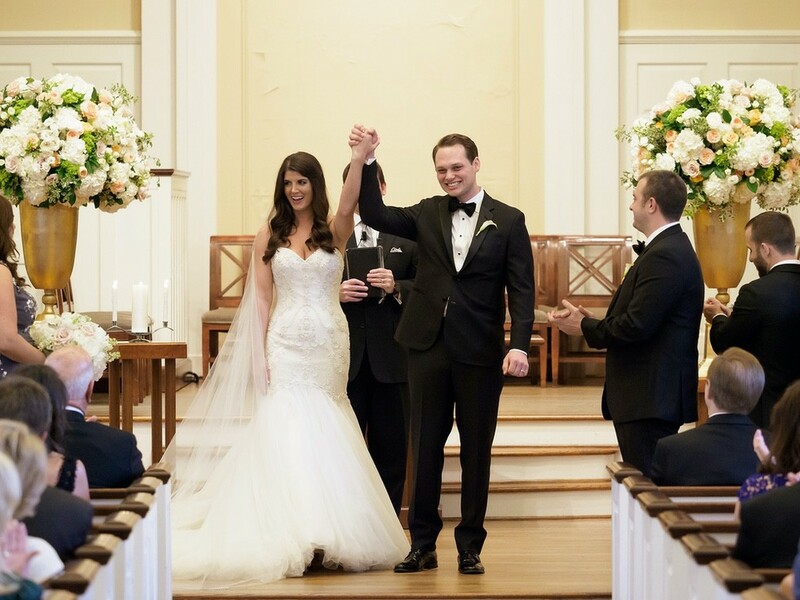 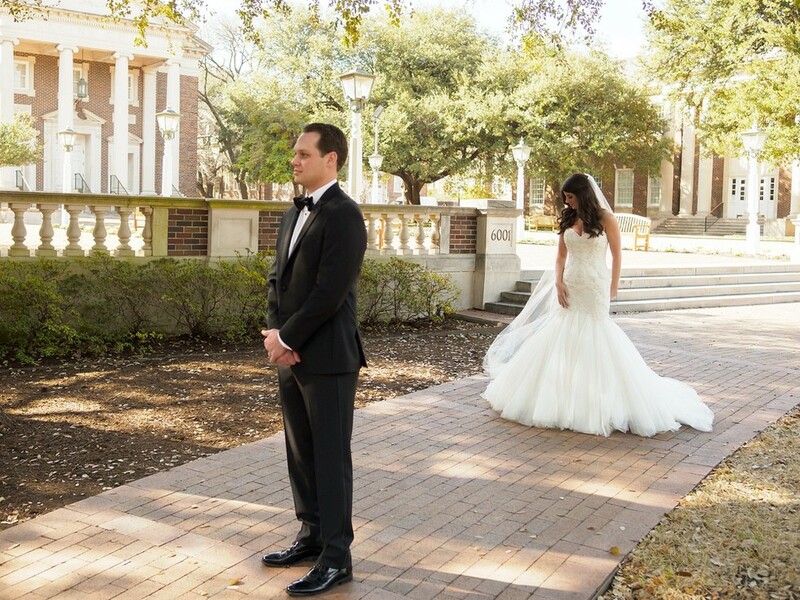 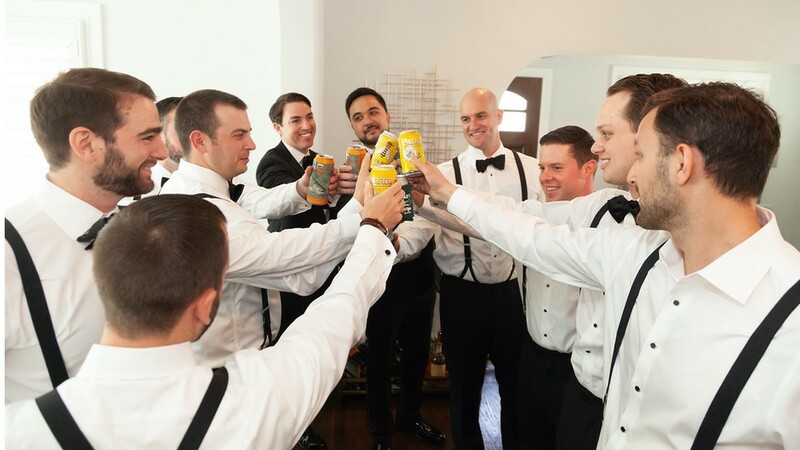 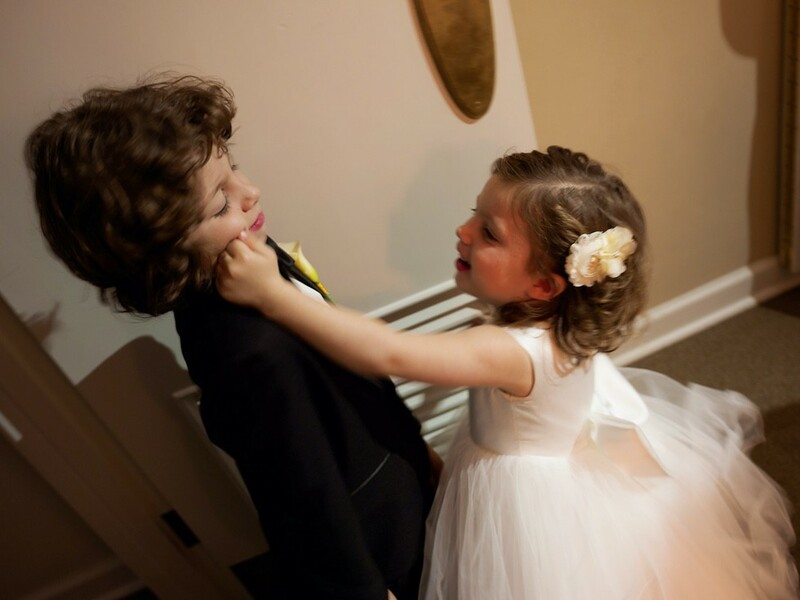 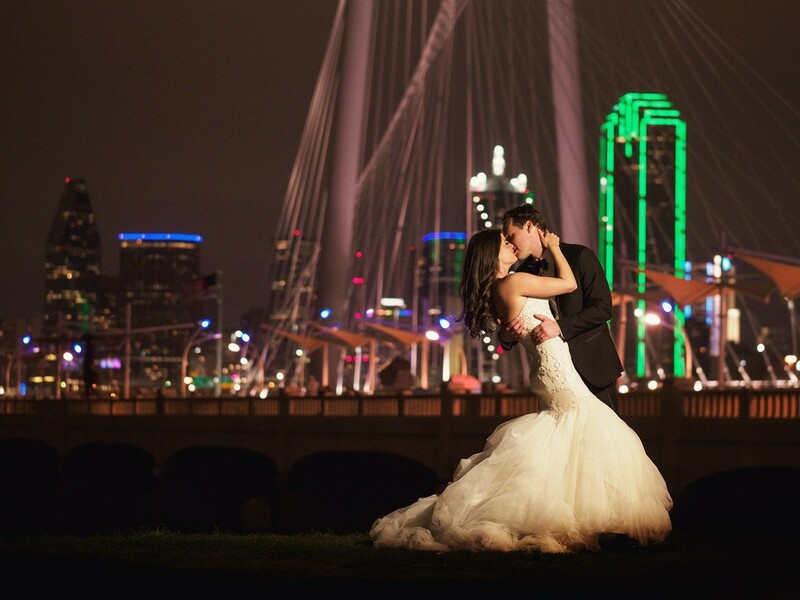 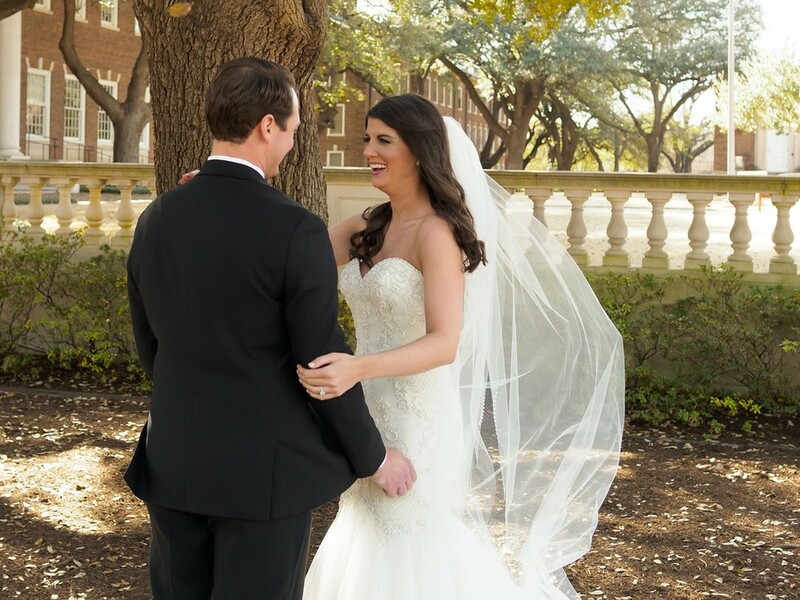 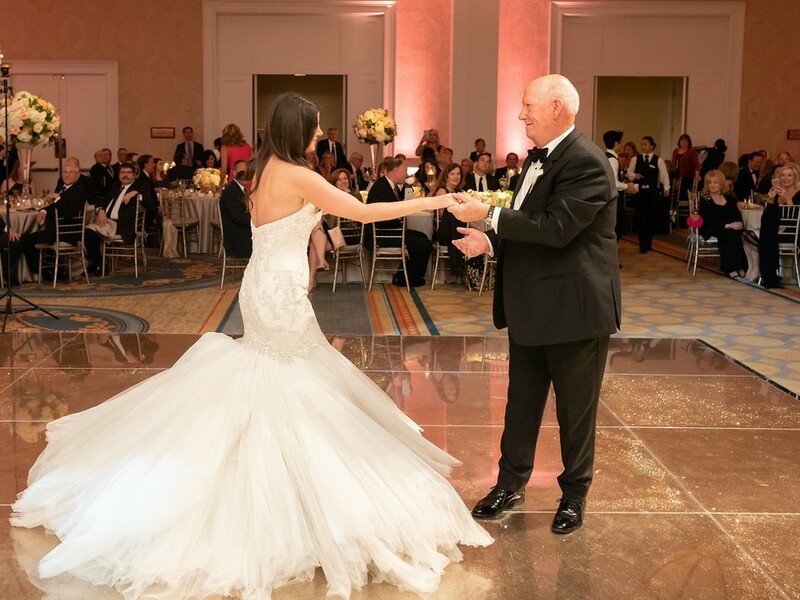 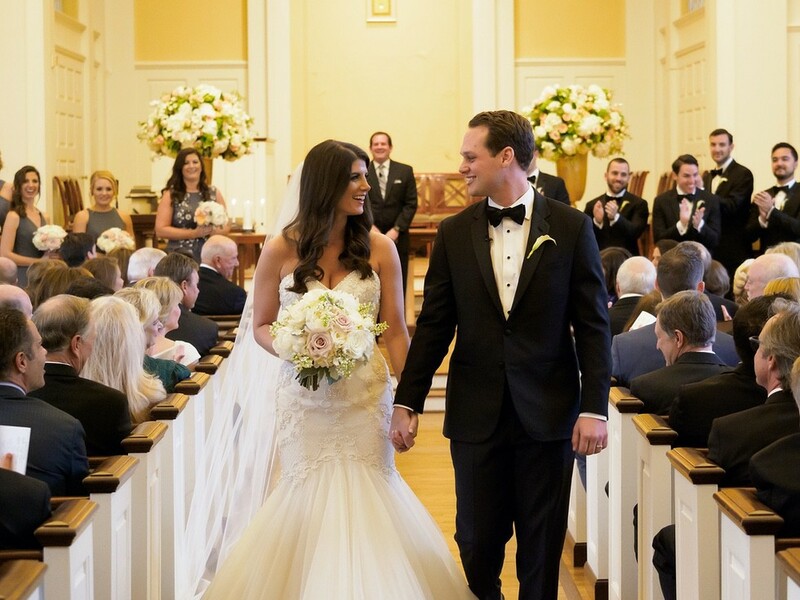 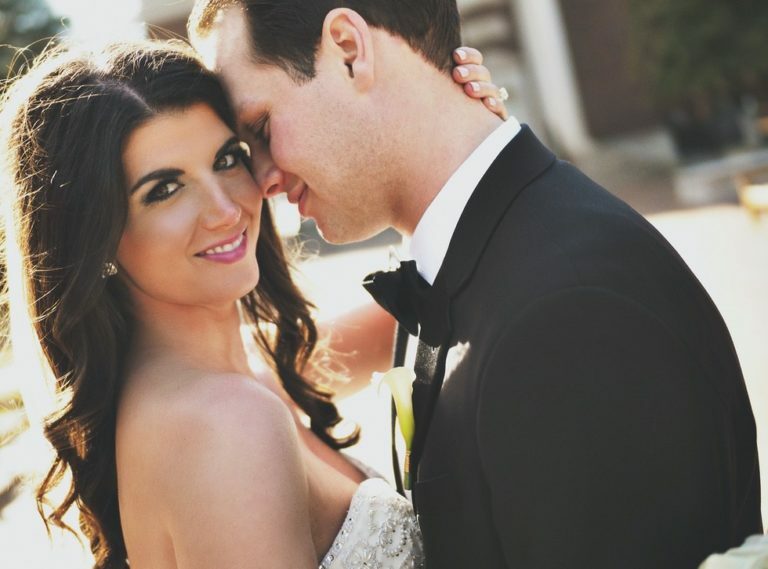 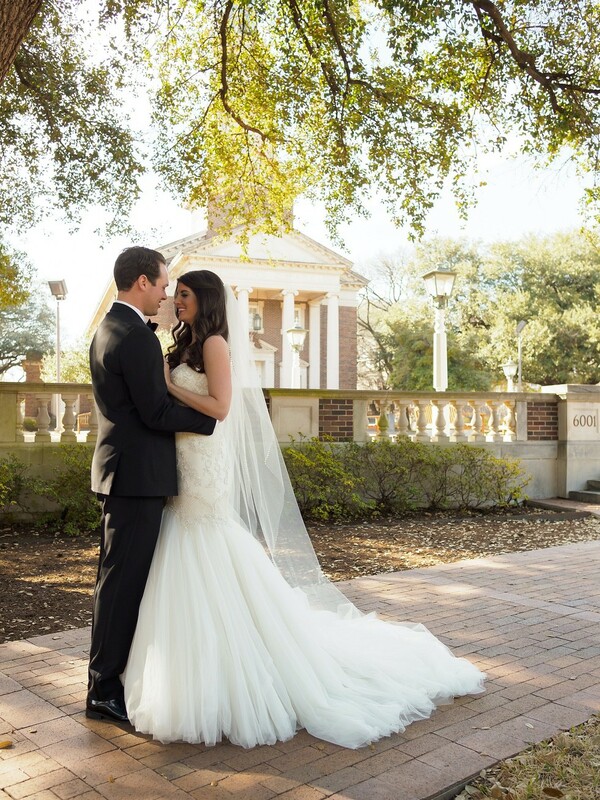 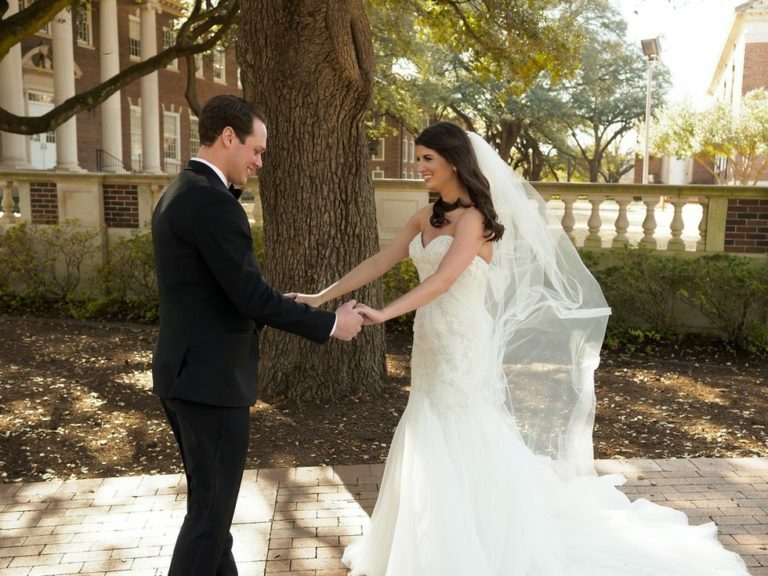 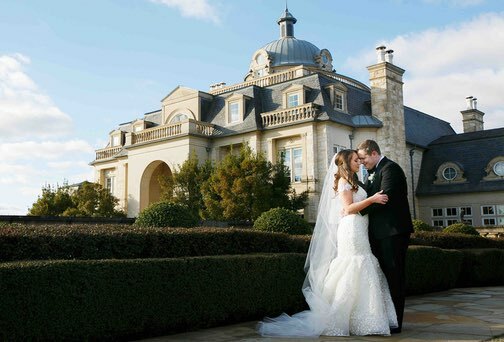 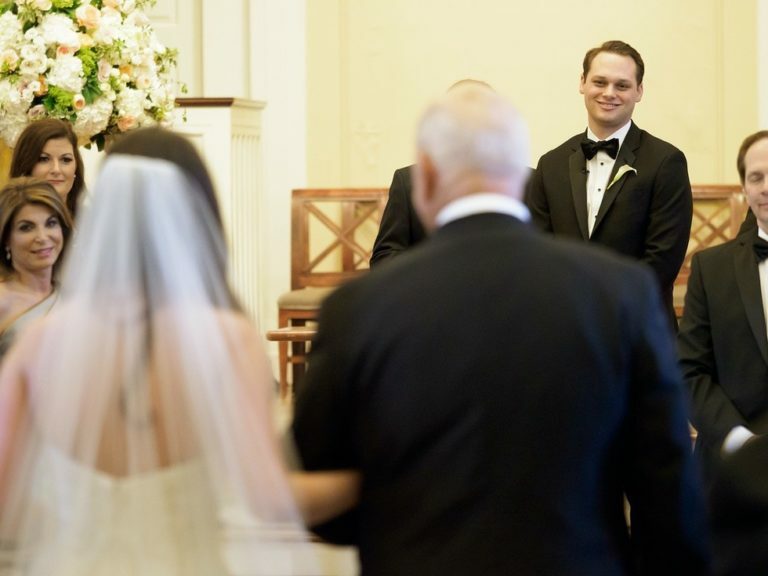 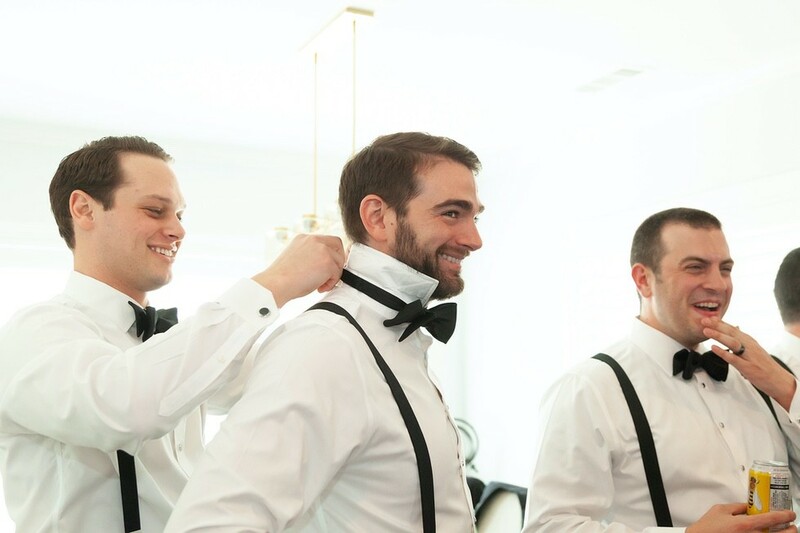 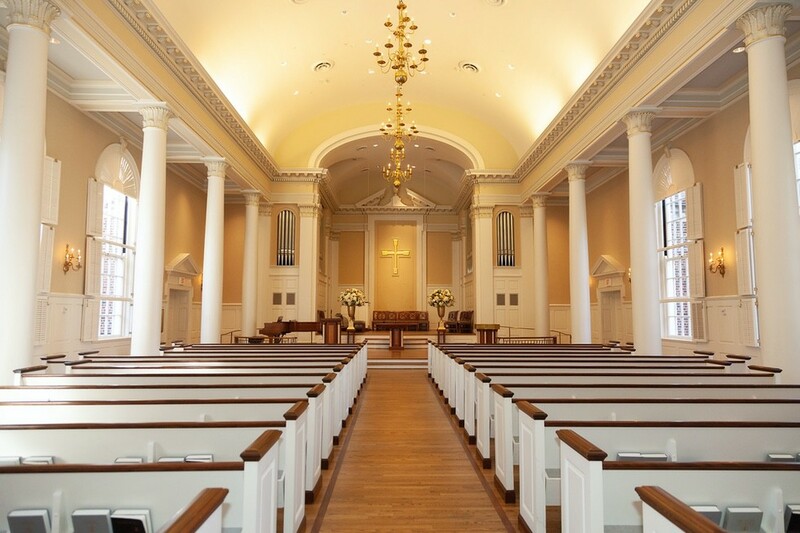 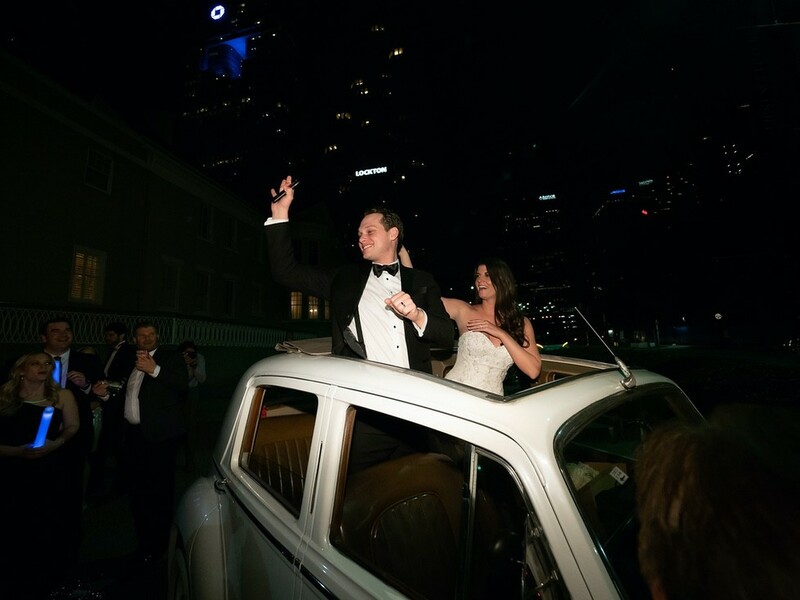 The ceremony was held in an intimate chapel in the heart of Dallas. 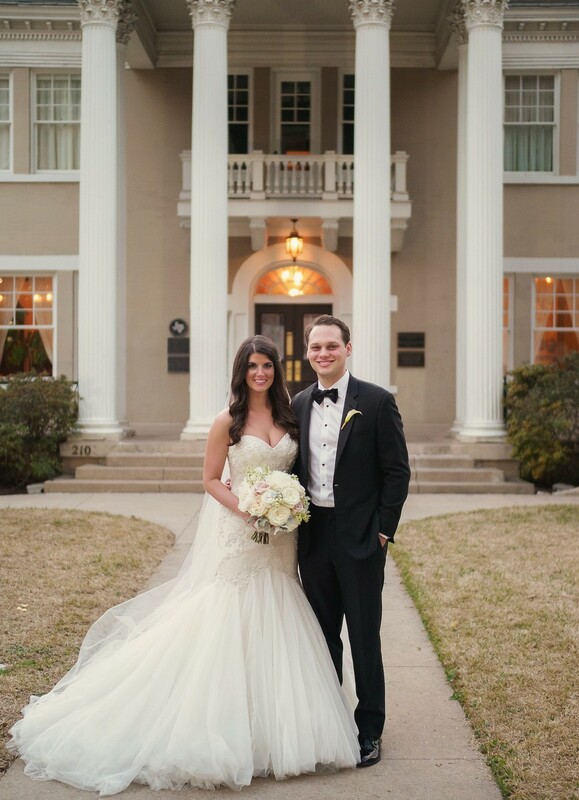 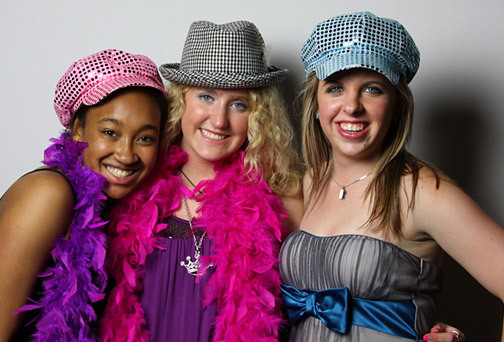 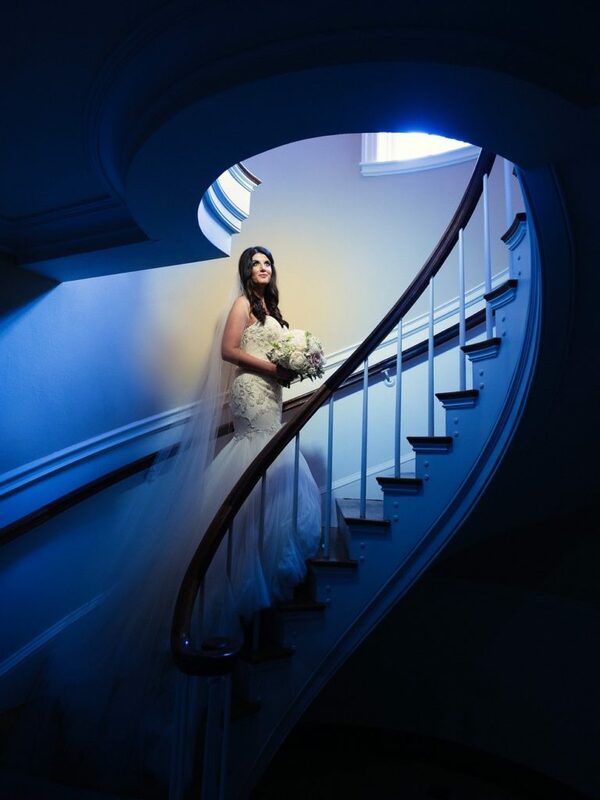 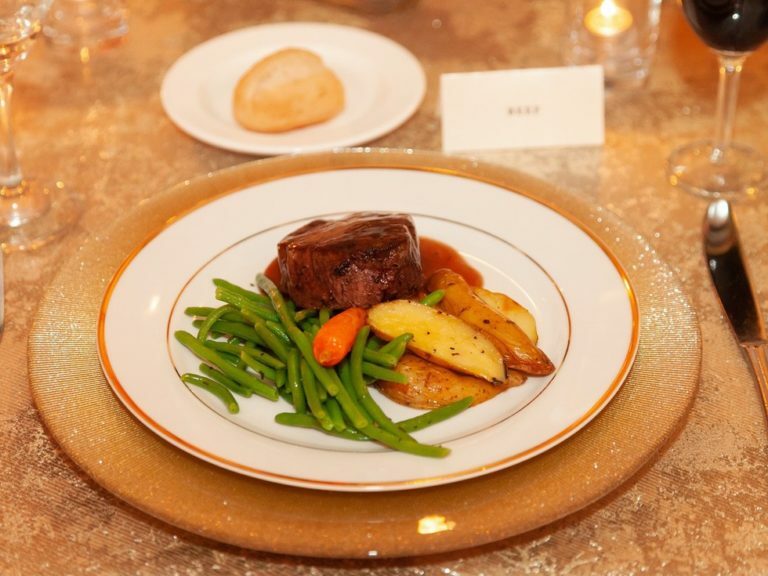 The reception was held in the ballroom of a historic mansion. 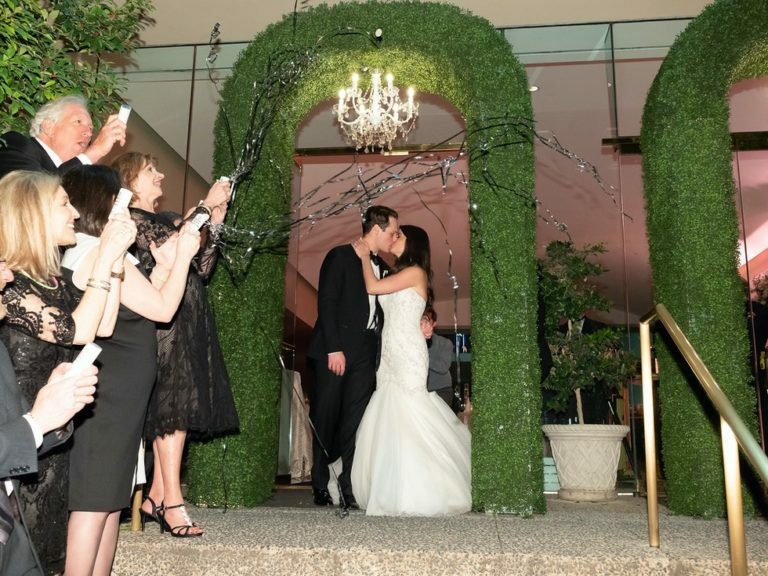 Guests entered the venue via stairs lined with candles and under two boxwood arches with crystal chandeliers hanging overhead. 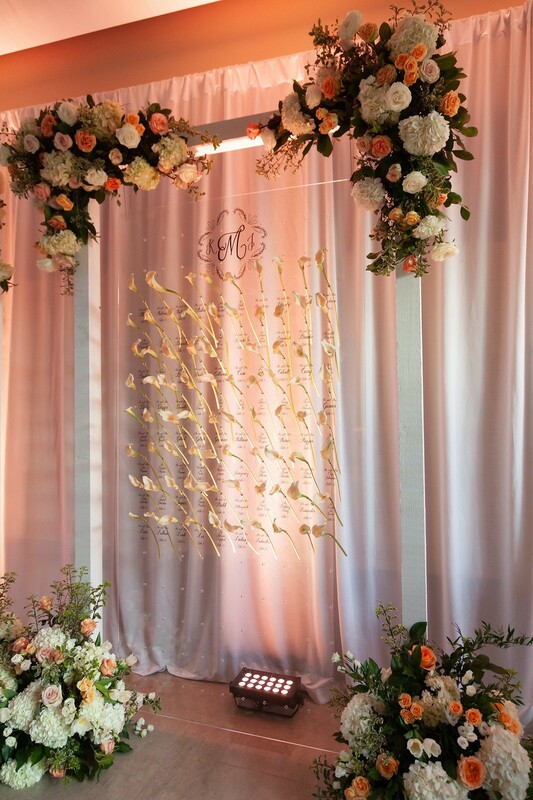 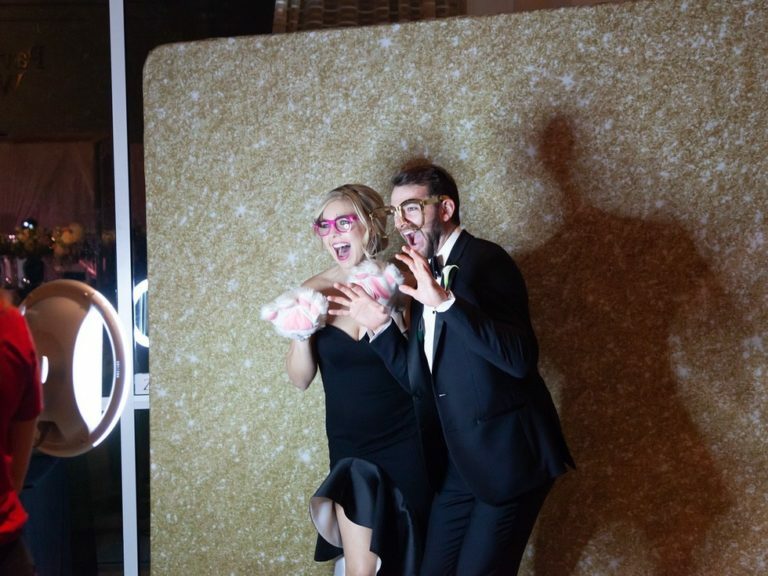 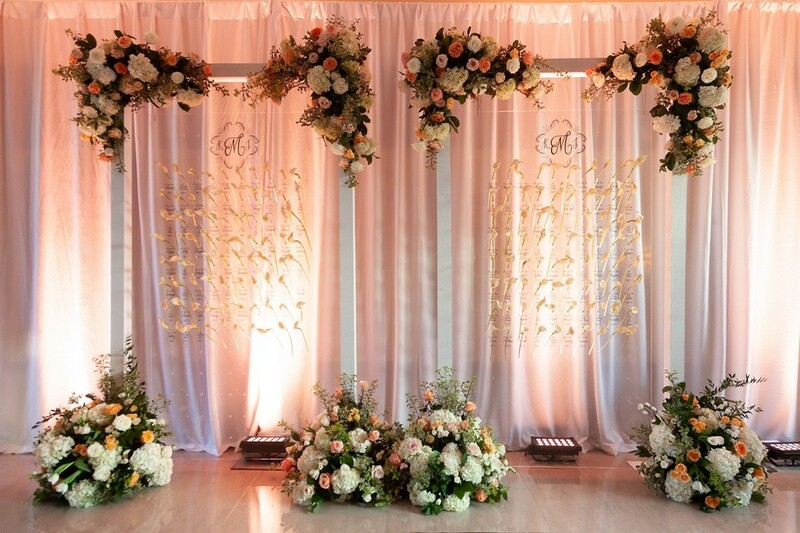 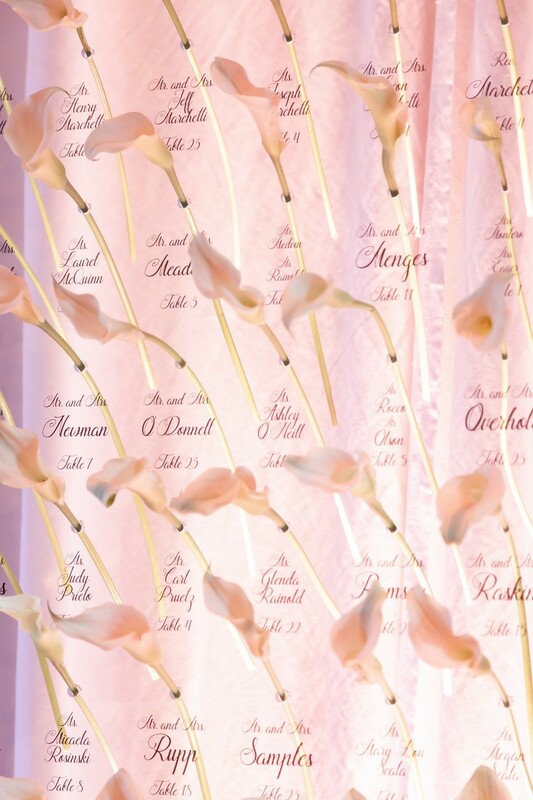 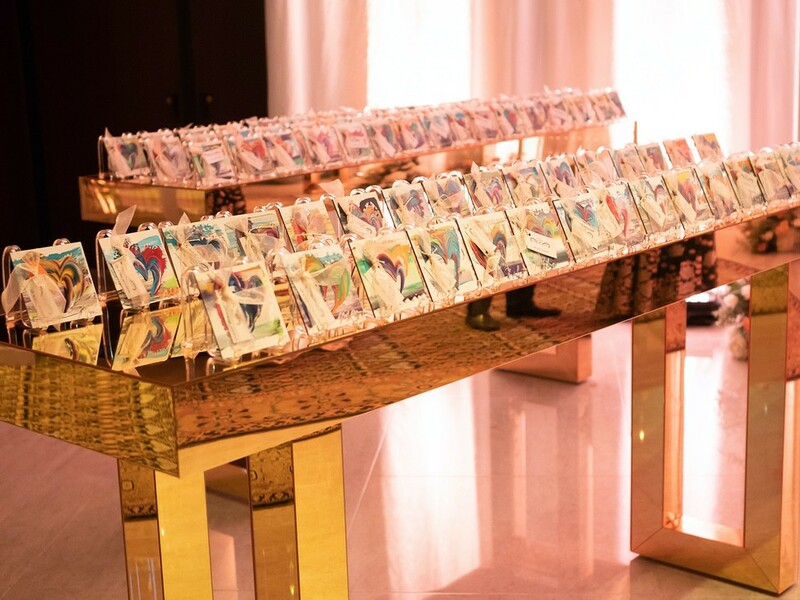 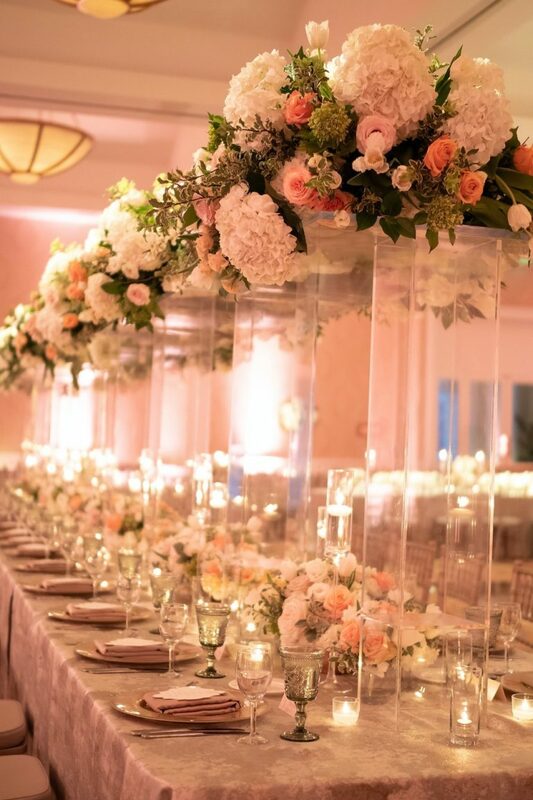 Guests then found their table assignments on a custom made lucite wall with floral paired with every guest name and adorning the perimeter of the display. 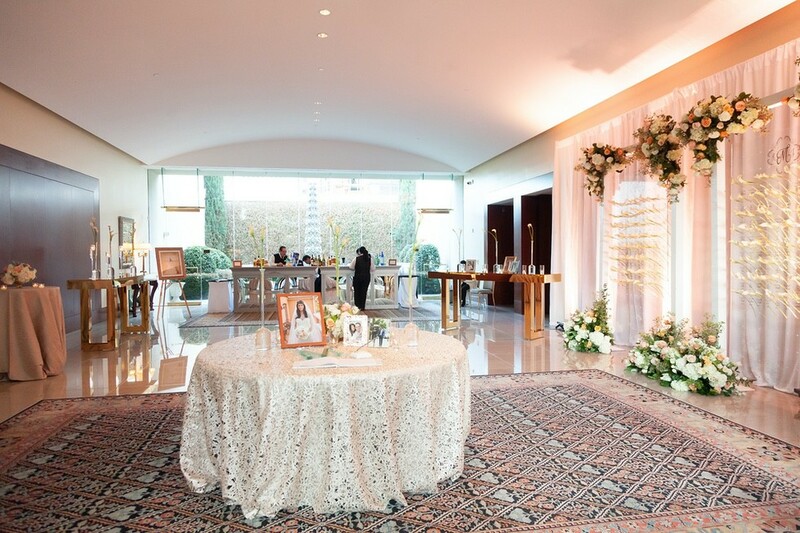 The foyer was also decorated with gold communal tables and beautiful bar facades and linens. 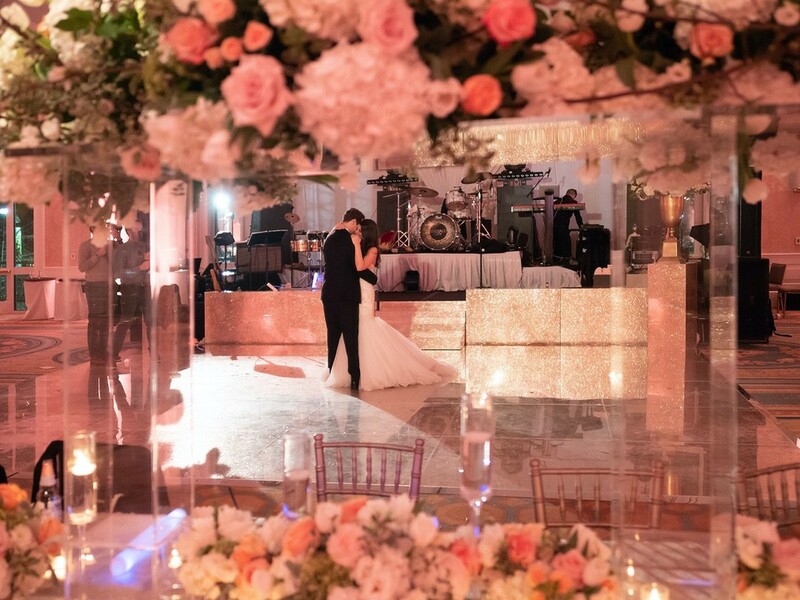 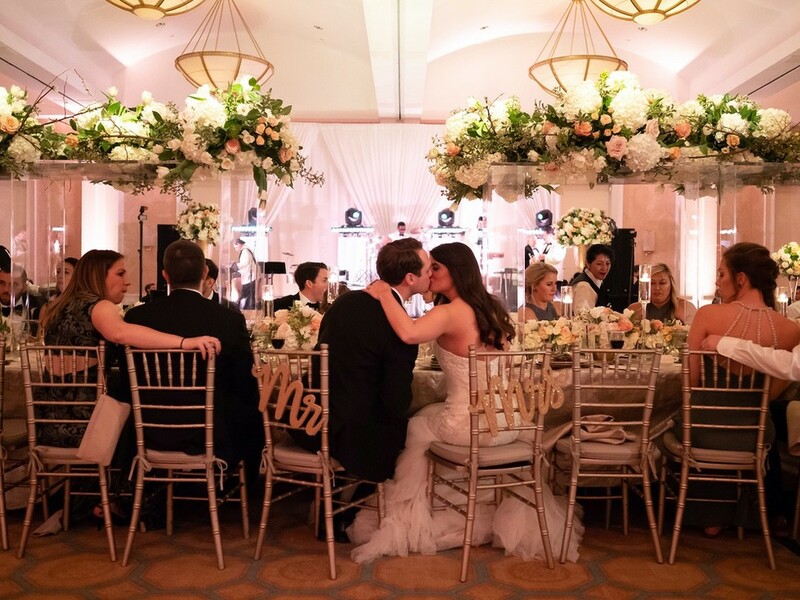 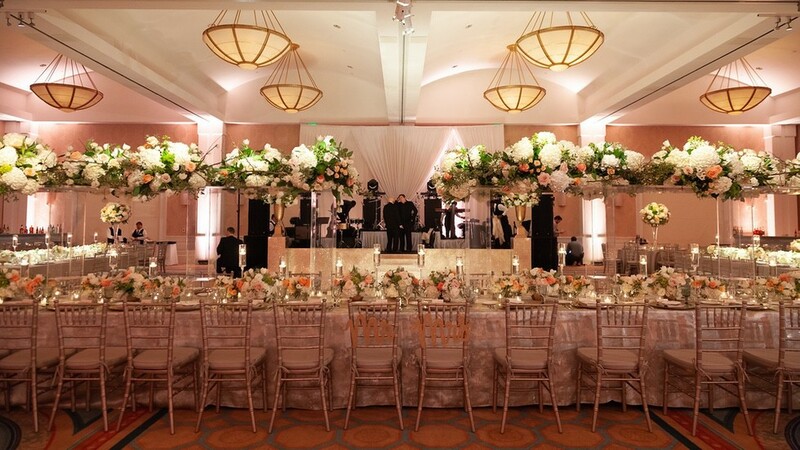 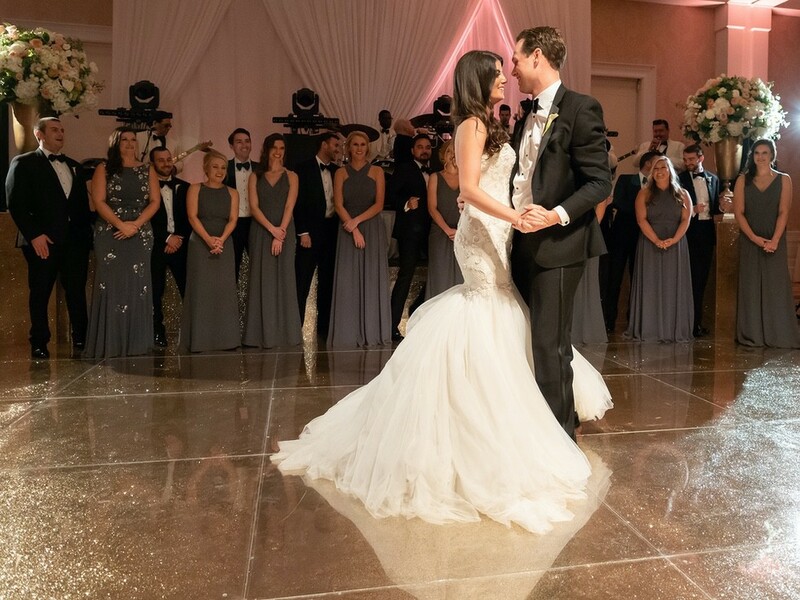 The ballroom looked even more amazing with a head table covered with mixed metallic linens, glittery champagne chargers, smoky silver glassware, and a custom lucite riser elevating more amazing florals. 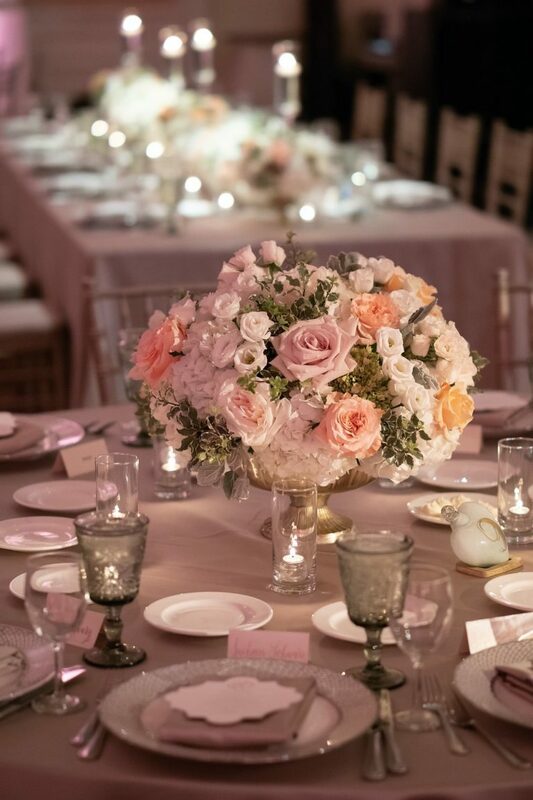 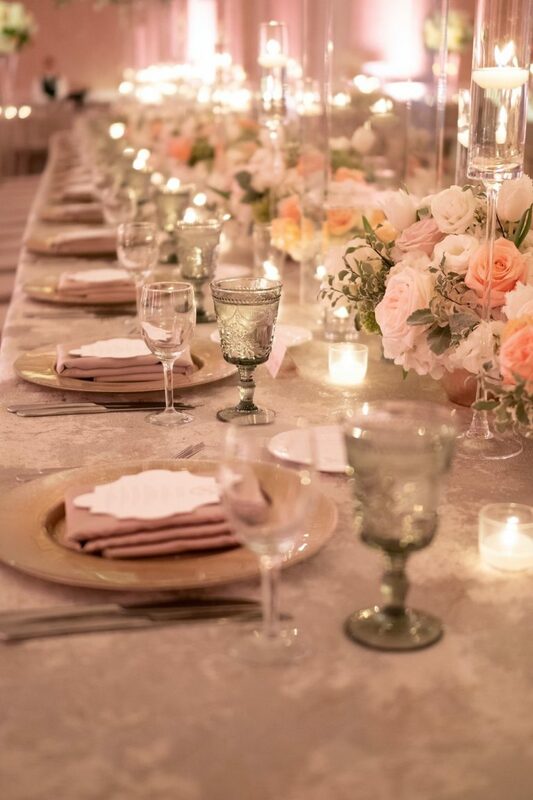 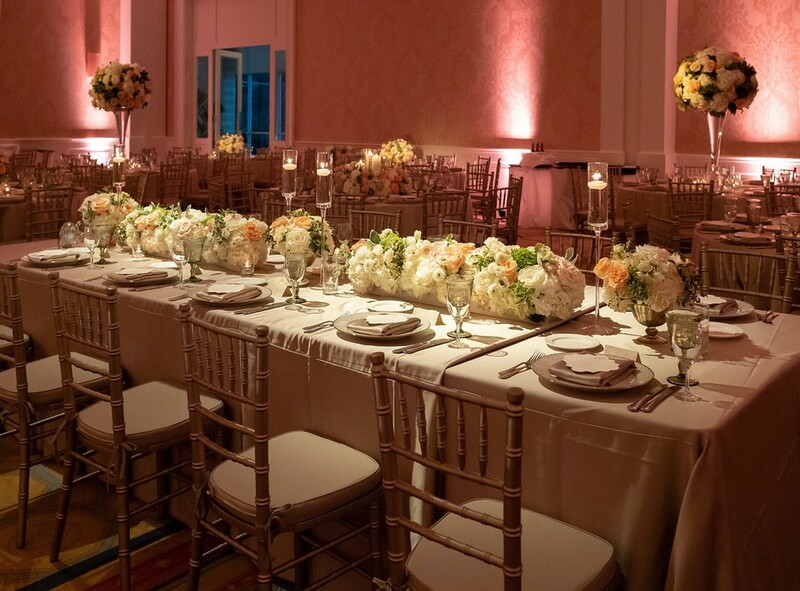 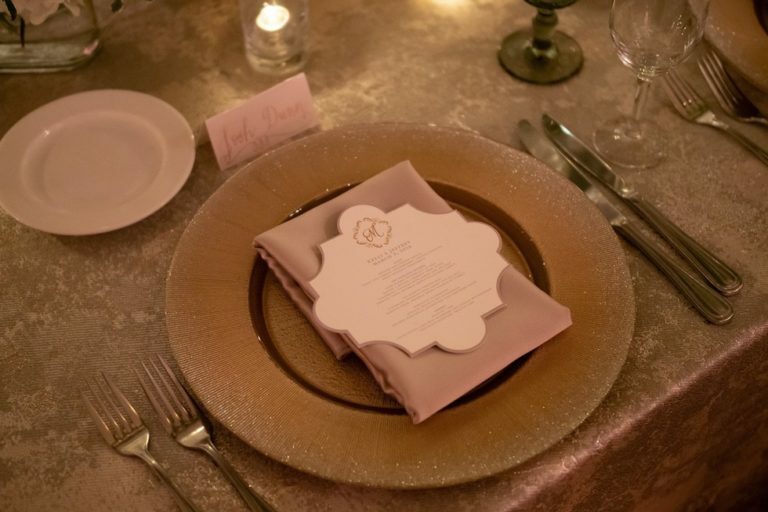 The rest of the guest tables were equally as beautiful with lush florals and taupe linens, platinum chargers, and champagne chiavari chairs. 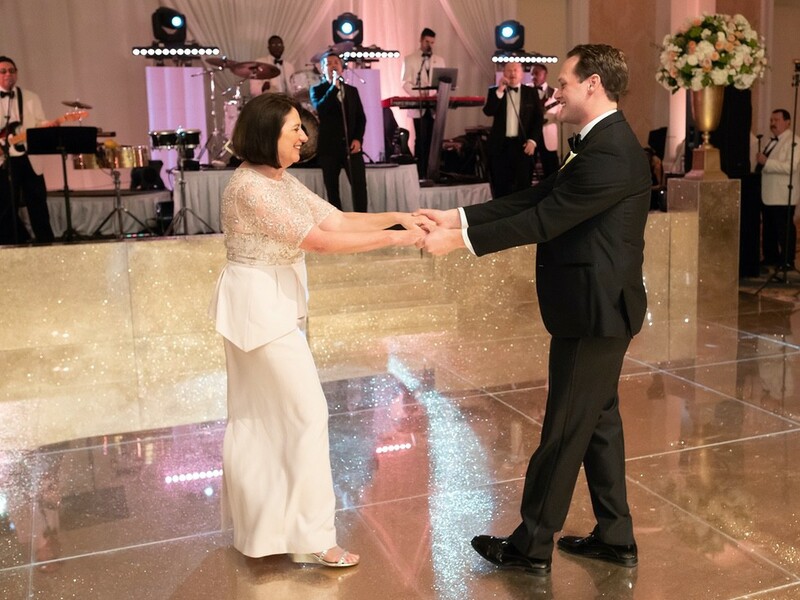 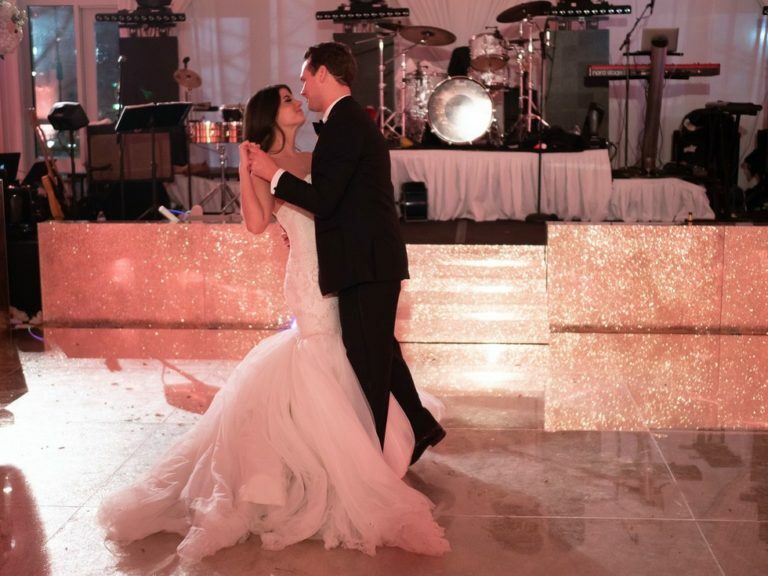 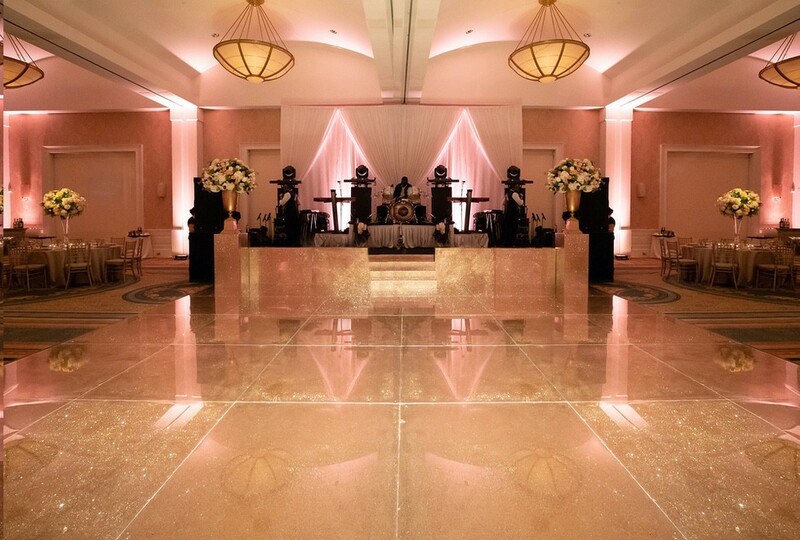 The dance floor was the star of the show, as Kelli and Jeff chose a gold, glitter dance floor that sparkled with every step. 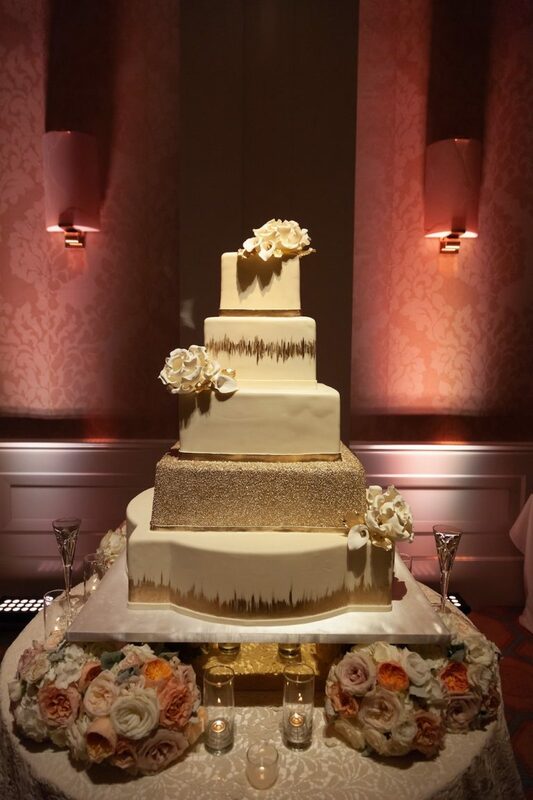 Our cake with painted gold accents was artistic and delicious. 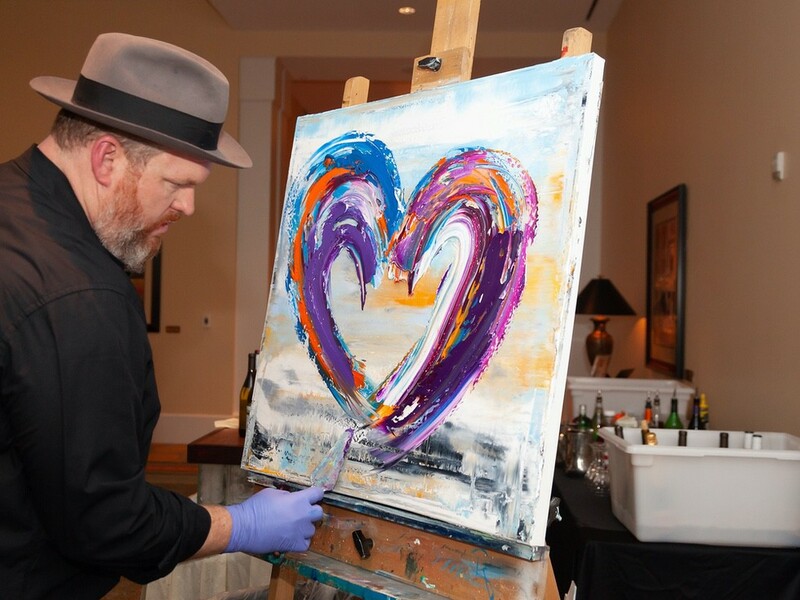 Speaking of art, a live painter was on site painting a canvas for the couple, and then all guests received a mini version of this painting as their favors! 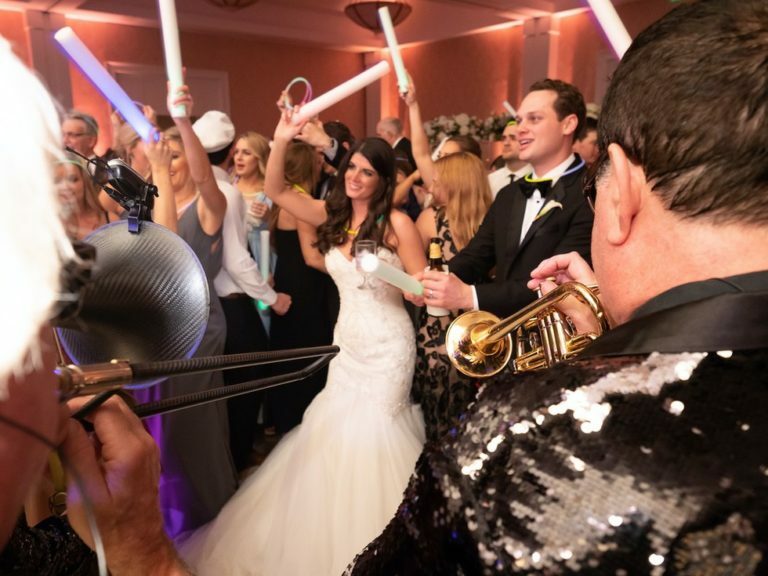 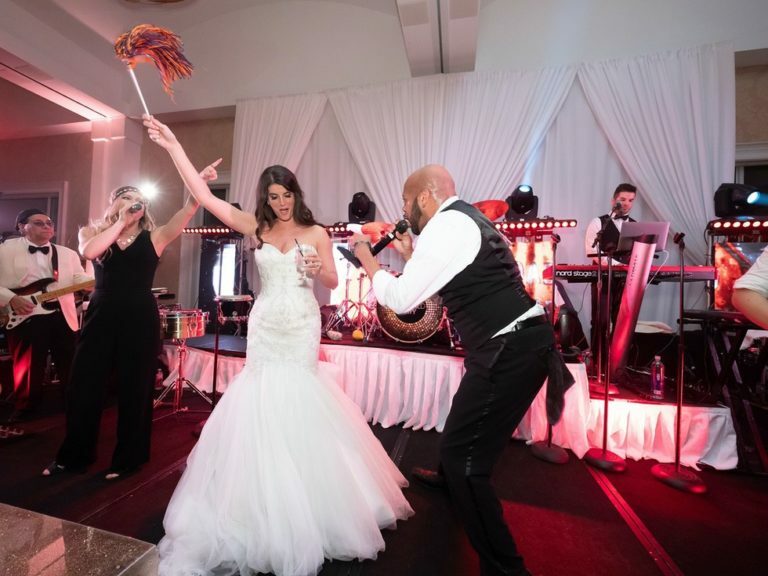 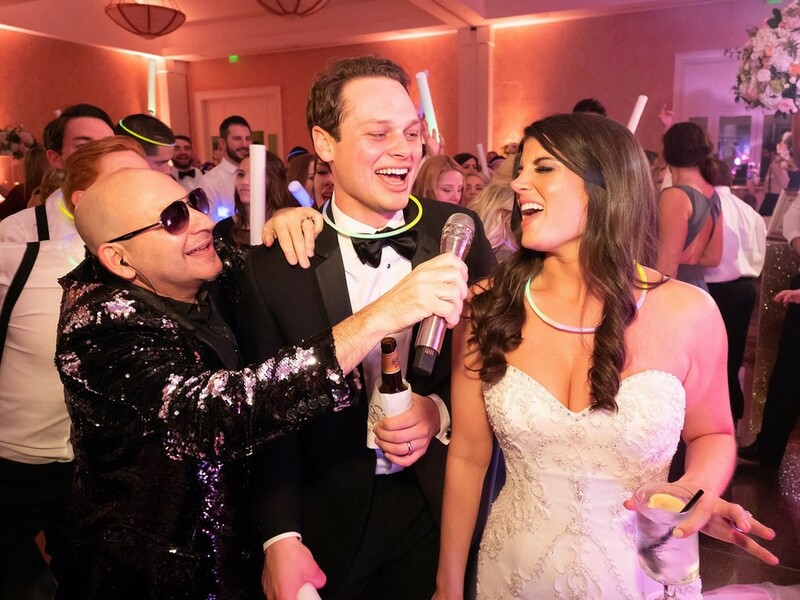 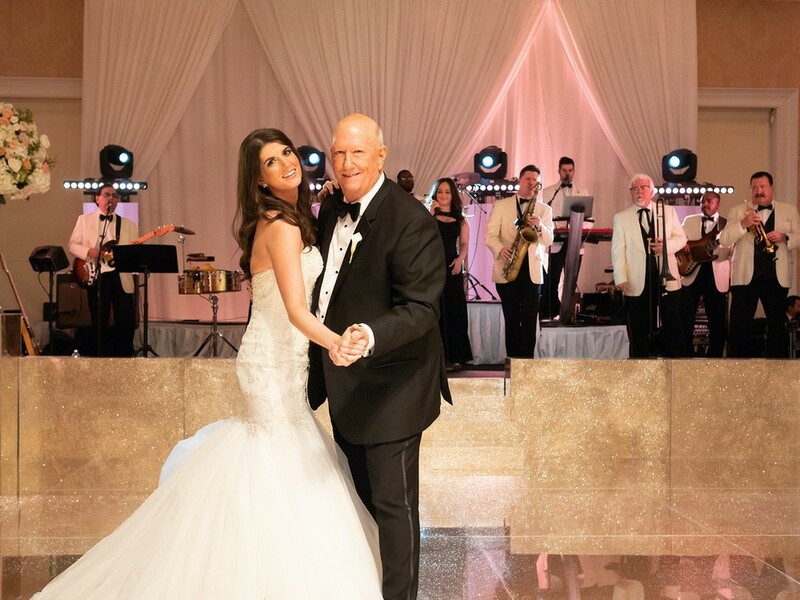 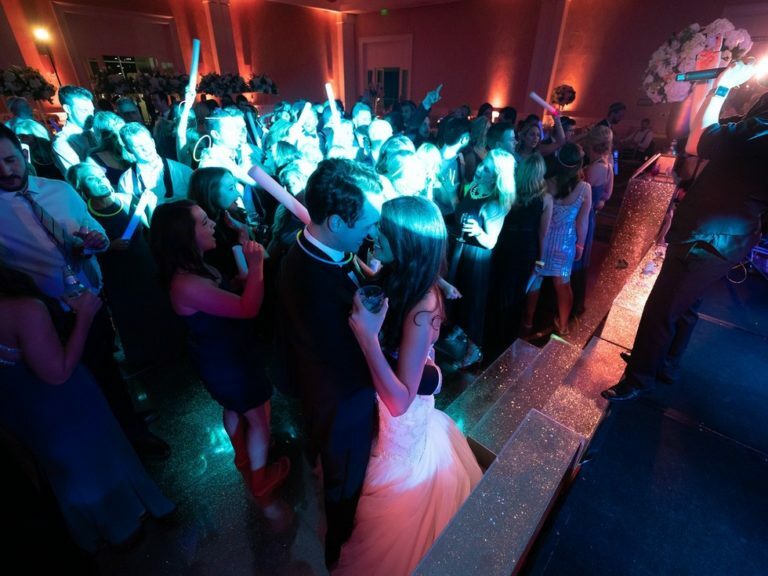 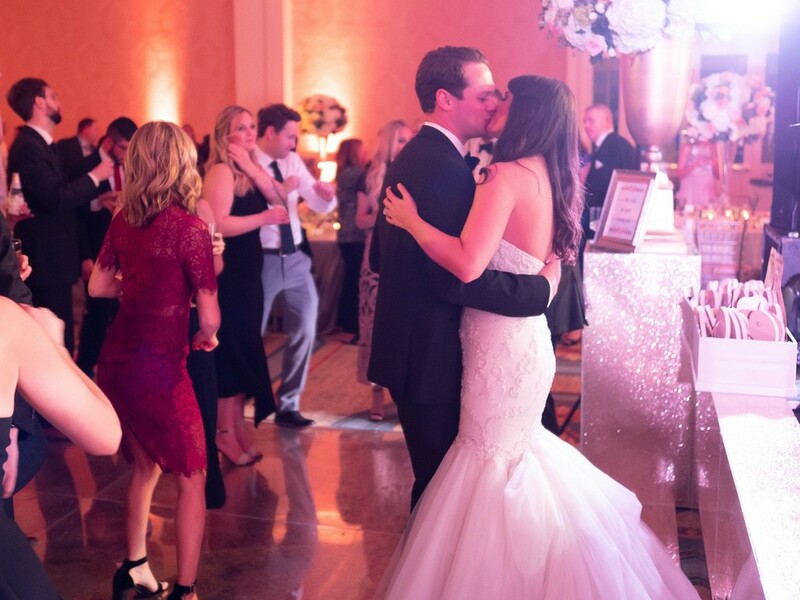 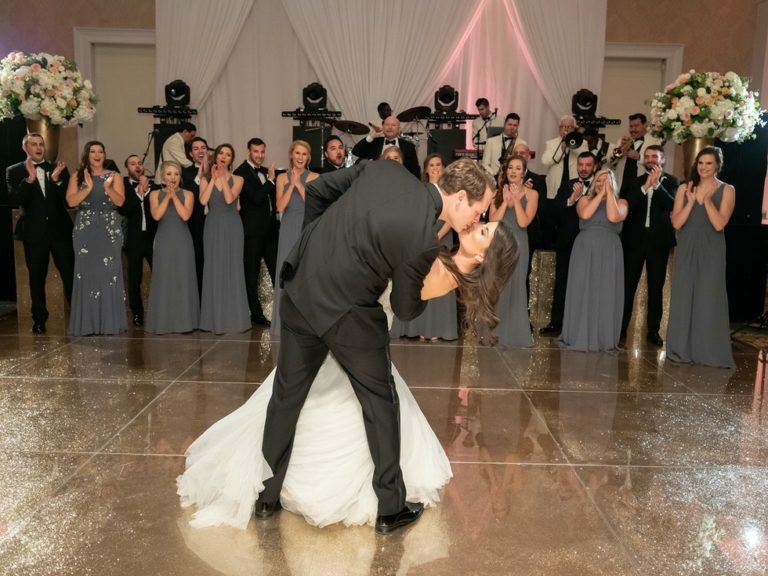 Our party band packed the dance floor all night and kept the crowd energized until the newlyweds’ send-off at the end of the night! 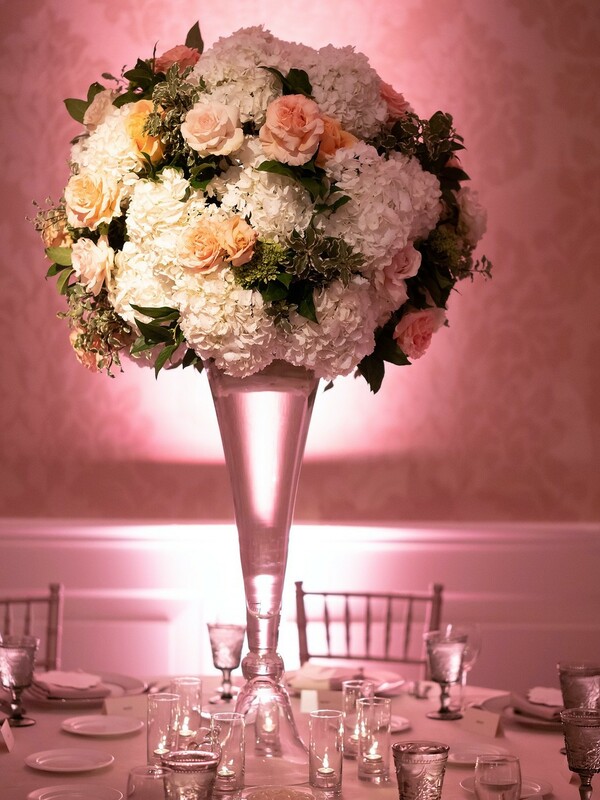 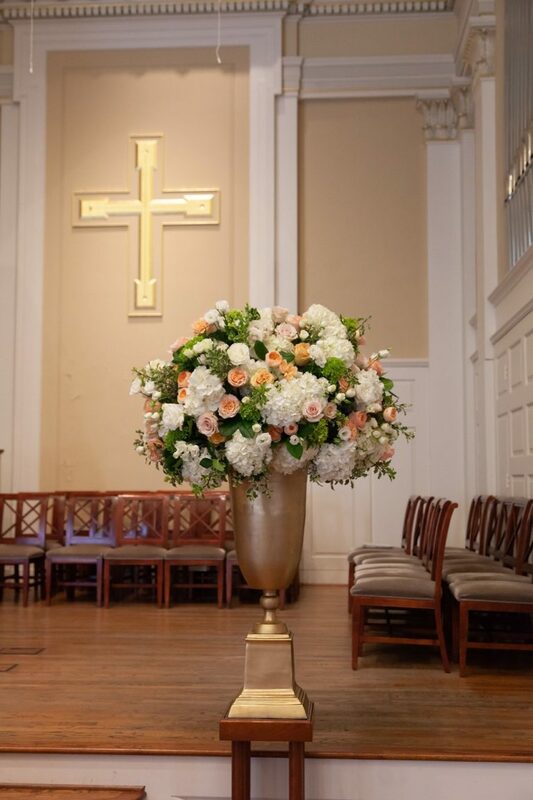 This entry was posted in Weddings and tagged and Gold Wedding, Belo Mansion wedding, erkins Chapel Wedding, Ivory, Peach. Bookmark the permalink.